I see this question asked quite a lot. While there are plenty of sites out there that have created similar listicles, most of them appear to be pretty old at this point. This is why I have taken it upon myself to try and answer the question in a way that lists first-rate games you may not have seen previously. 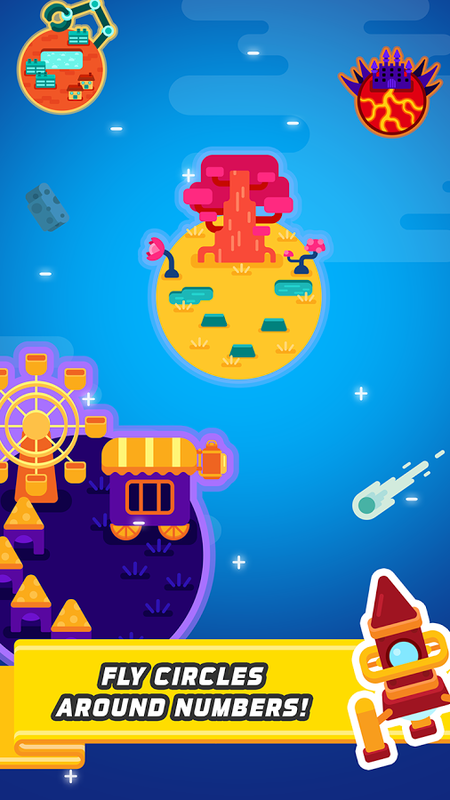 Simply put, this article is intended to be a fresh take on what the best Android games for kids between the ages of 2-8 are on Android in 2017. 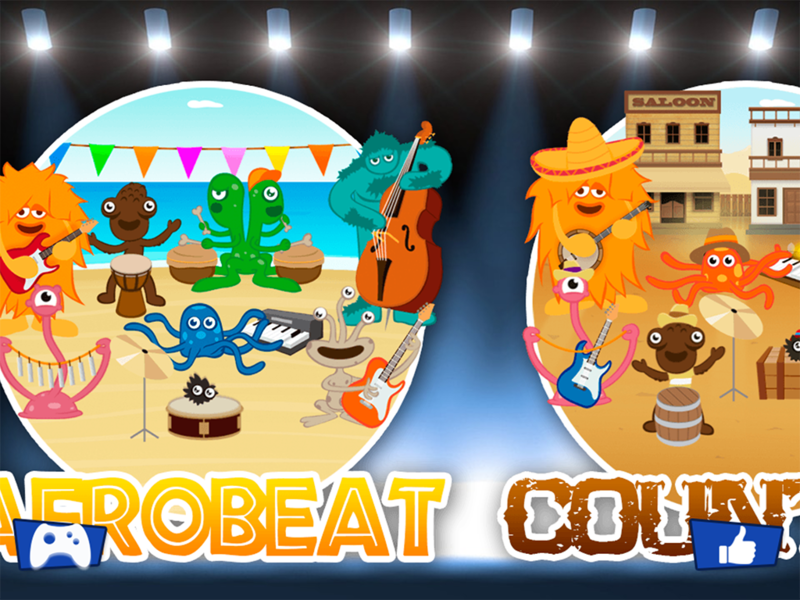 Bellow you will find 30 kid-friendly Android games that have been hand picked (with the help of AP's remarkably ever-present leader Artem) in order to provide parents with quality gaming choices for their kids. The vast majority of these titles are premium releases that are either free or have an upfront cost. 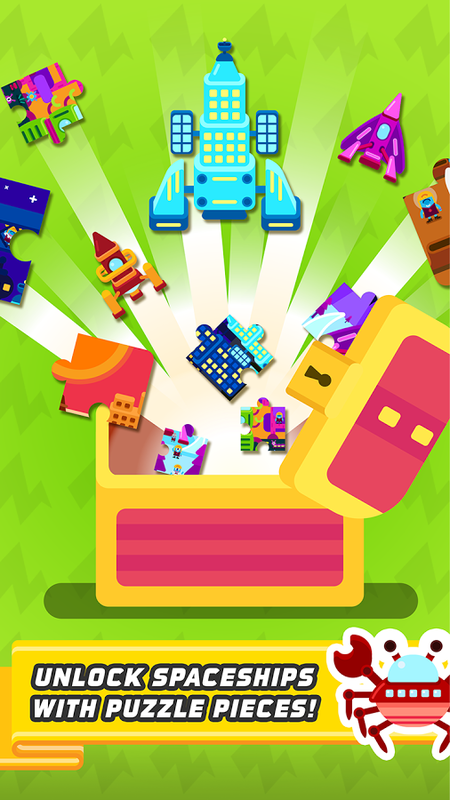 There may be a few stragglers that are more akin to the free-to-play releases you would expect to find on the Play Store, but I have tried to keep those to a minimum. Many of these games will be educational in nature, but rest assured I have thrown in a few titles that are simply fun for fun's sake. 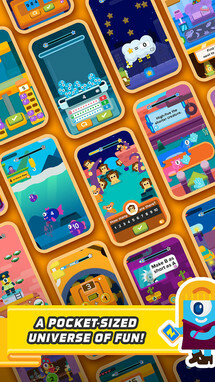 A cornucopia of kids games, if you will. Daniel Tiger for Parents isn't necessarily something you would give to your kid to play, as it's more a guide to help parents discuss certain situations with their children in an approachable manner. 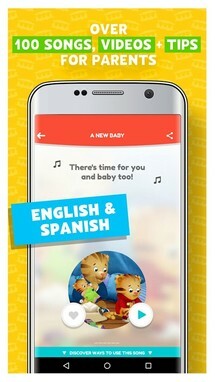 You simply pick the subject you are looking to cover with your kid to then watch a video or listen to a song about said subject through the app itself. So while Daniel Tiger for Parents may not be a game per se, it still retains a lot of usefulness regarding children thanks to the media contained within. Oh, and be sure to check out the rest of the PBS KIDS apps and games, as they are all honestly monetized and kid-friendly. 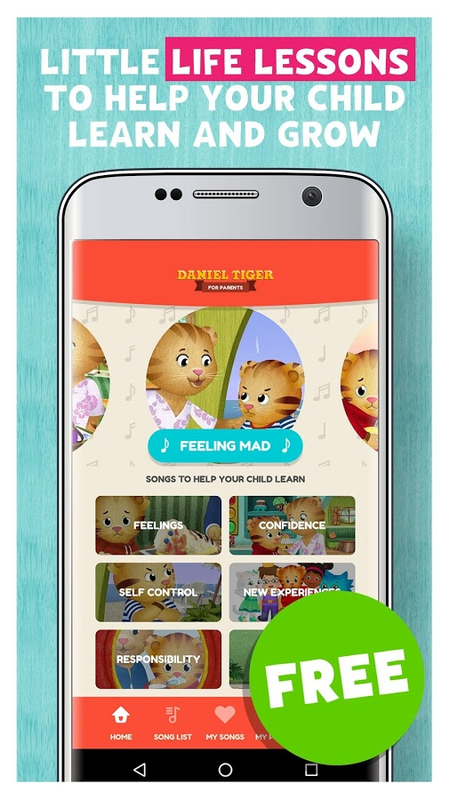 Daniel Tiger for Parents empowers parents and caregivers with songs and videos from the hit PBS KIDS series Daniel Tiger’s Neighborhood. 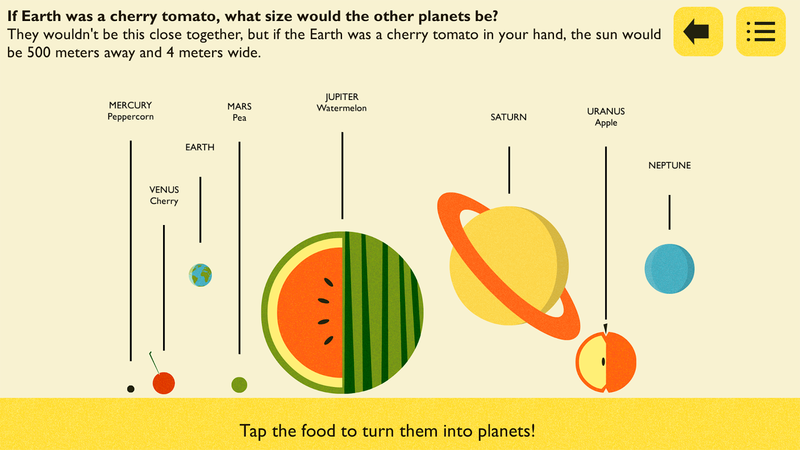 Is your child learning about sharing? Struggling with trying a new food? Working on what to do with mad feelings? Daniel Tiger for Parents has a song for these important social-emotional skills – and many more of life’s little lessons. 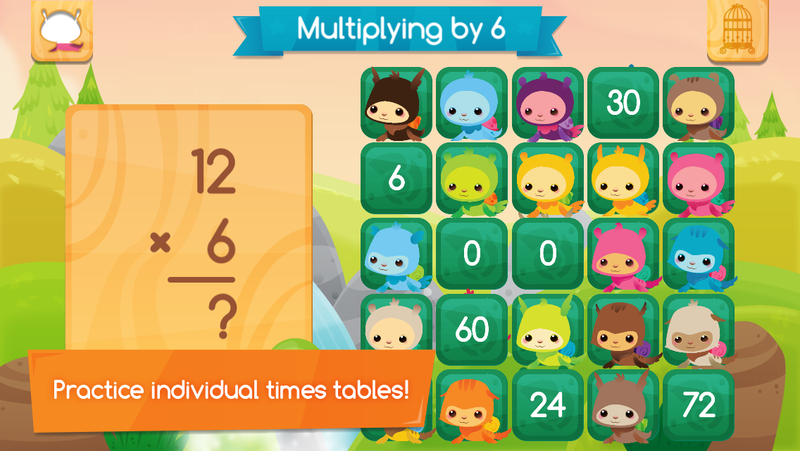 Pet Bingo by Duck Duck Moose is an educational math game intended for children between the ages of 5-10. 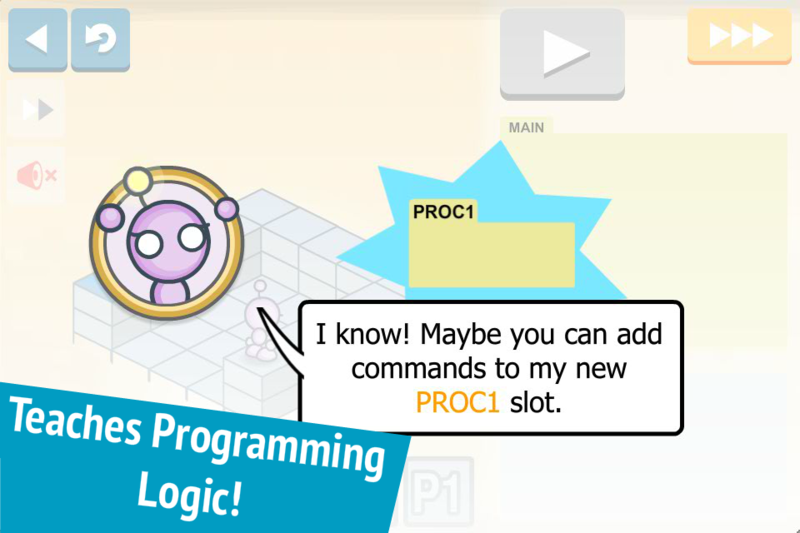 Not only is the title completely free to download and use, but it contains a whole slew of math skills to learn. This includes addition, subtraction, multiplication, division, measurements, and geometry. This way your child should be covered no matter their current learning level. 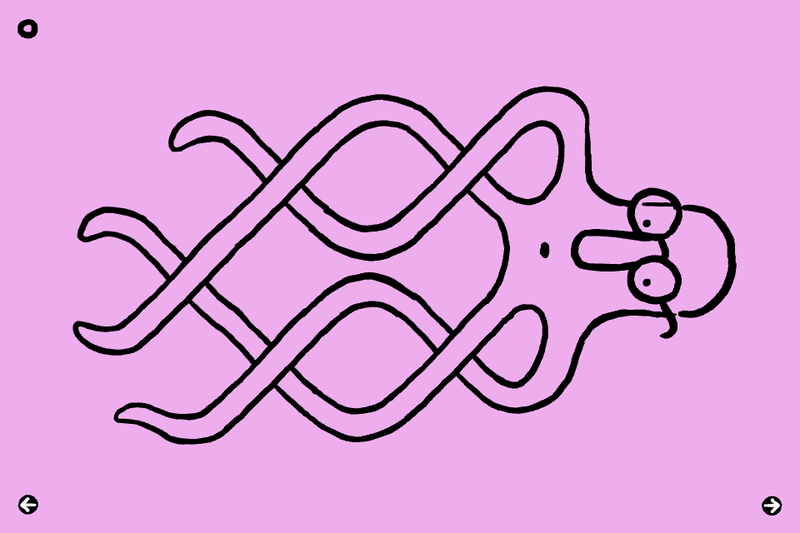 Plus, if you find you would like more content, you can simply check out the rest of Duck Duck Moose's excellent catalog. 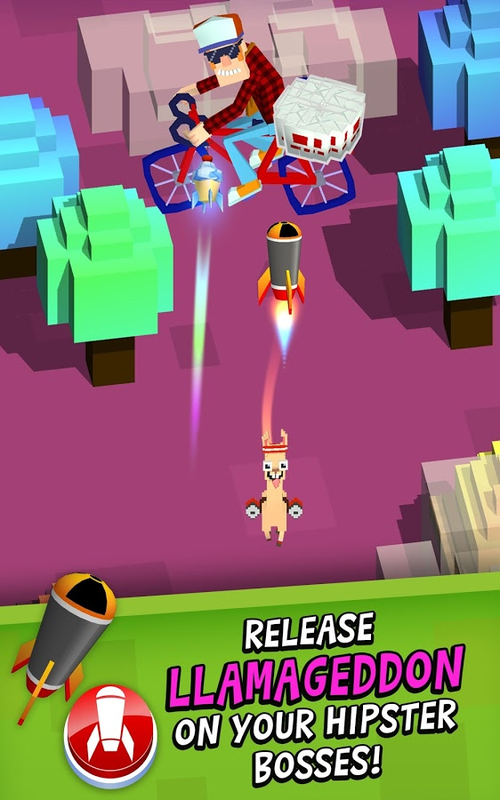 If you have seen the free-to-play game Shooty Skies, then you should have a good idea of what to expect out of Llama Spit Spit. 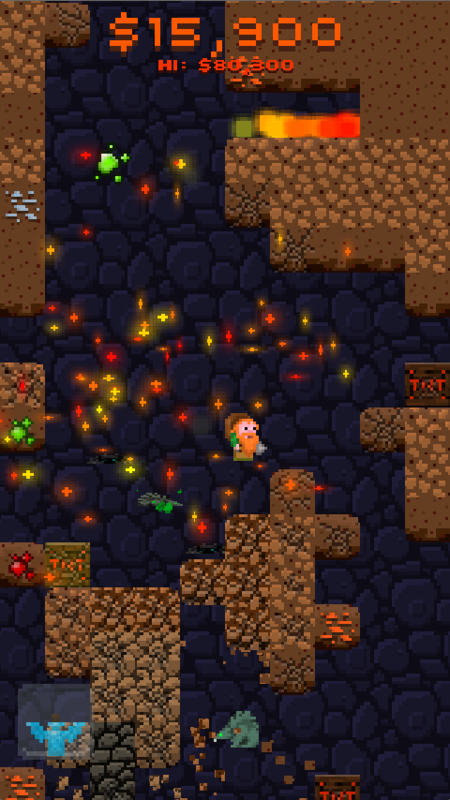 Both are top-down shoot 'em ups. Essentially Llama Spit Spit is a reskin of Shooty Skies, but with the exception that it does not contain any advertisements or in-app purchases. 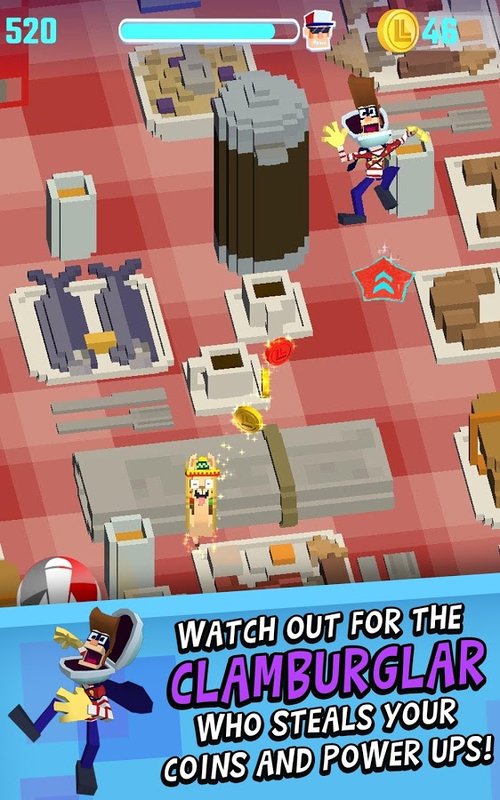 There is also the fact that Nickelodeon created this game for their hit TV show Game Shakers, an American gaming sitcom that many children may be familiar with. 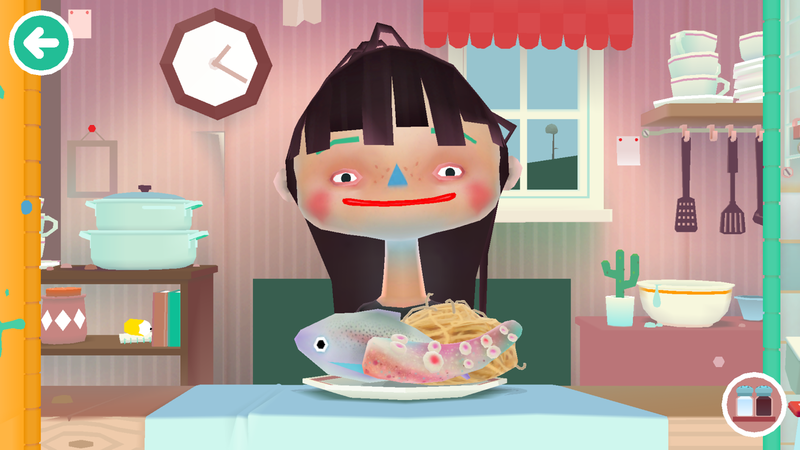 Toca Boca is one of those publishers that stick to their guns. 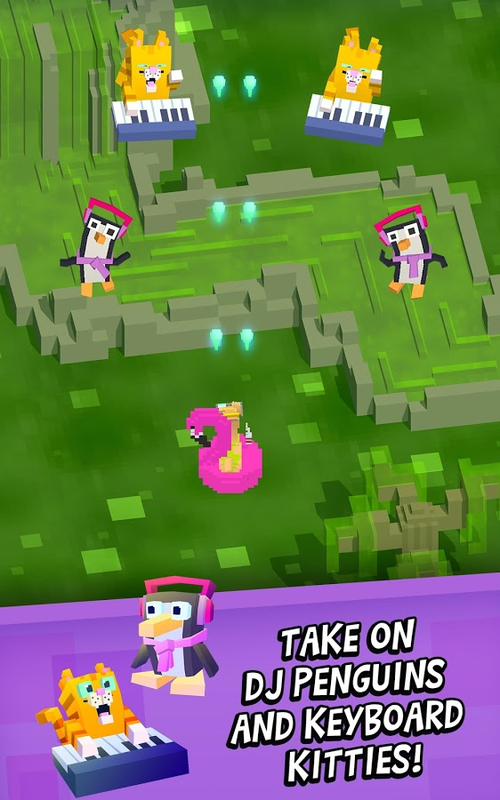 Not only are all of their games free of advertisements and in-app purchases, but they are also open-ended and gender-neutral. Their most popular release Toca Kitchen 2 is, in my opinion, a perfect example of their ethical design. 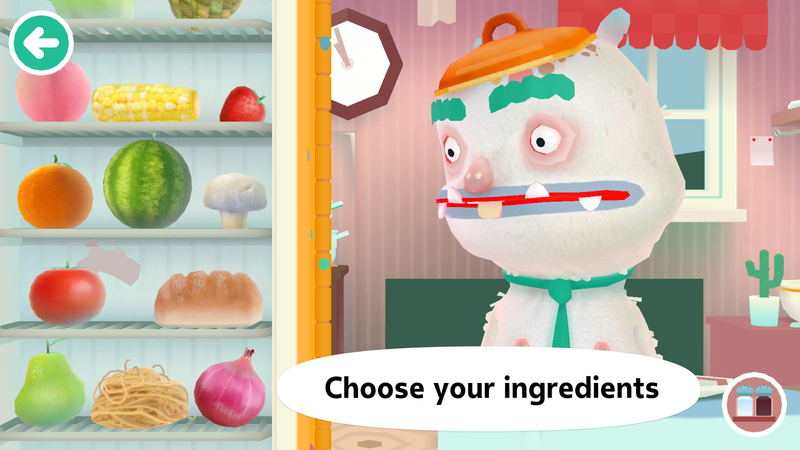 It is a fun little cooking game, in the same vein as Cooking Mama, that allows kids to explore any wacky combination of food they can think of, to then serve it to an NPC for humorous results. 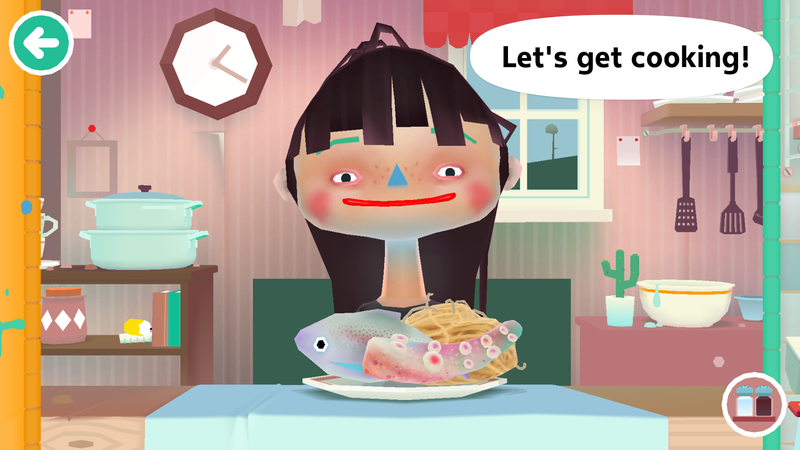 The wildly popular Toca Kitchen is back. 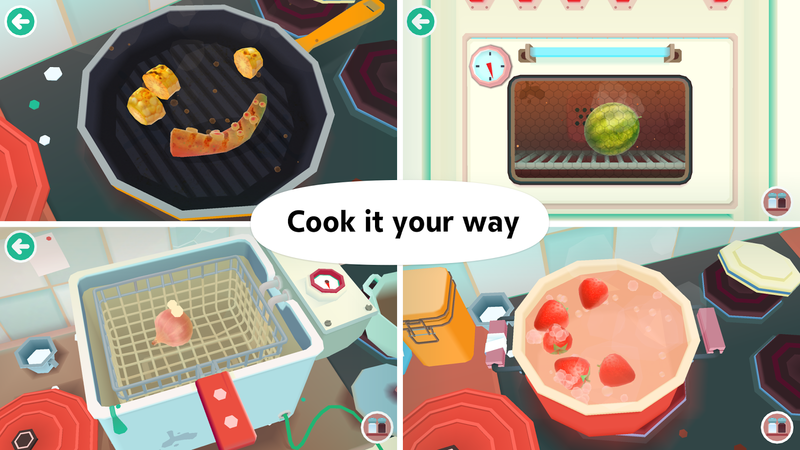 With new guests to cook for, more tools to play with and new food combinations to test out, Toca Kitchen 2 invites all chefs to get messy and start playing. 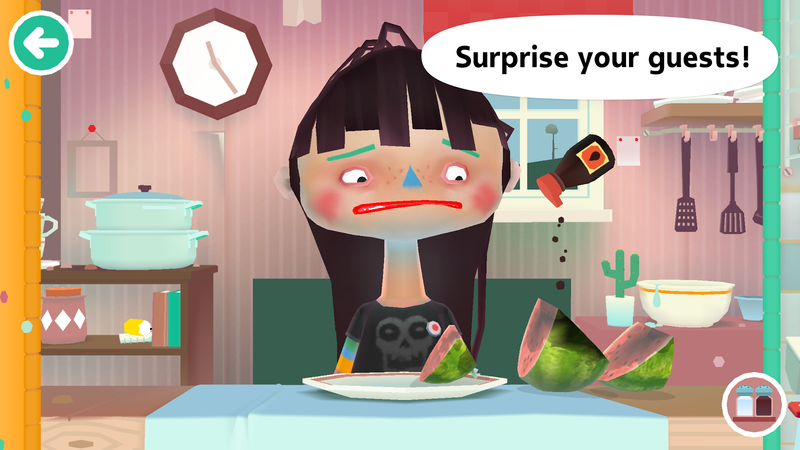 Watch the characters react on burning hot sauce, sour lemon and laugh at loud burps. 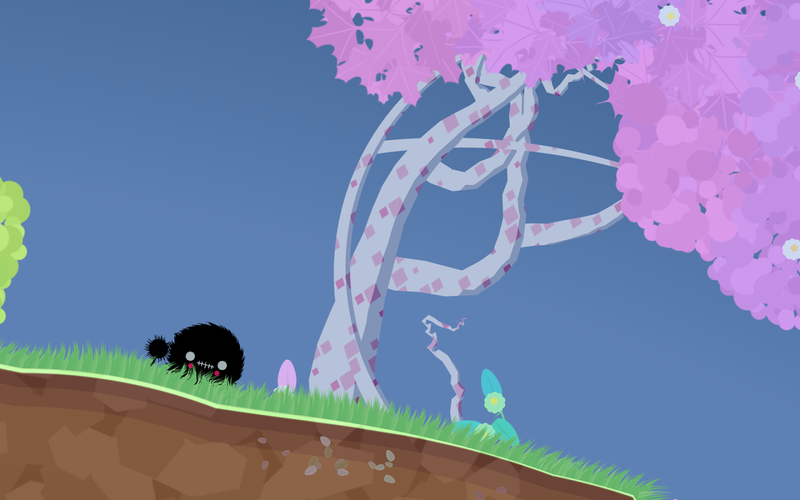 At last but not least, we added more levels of grossness to the characters. Have fun. 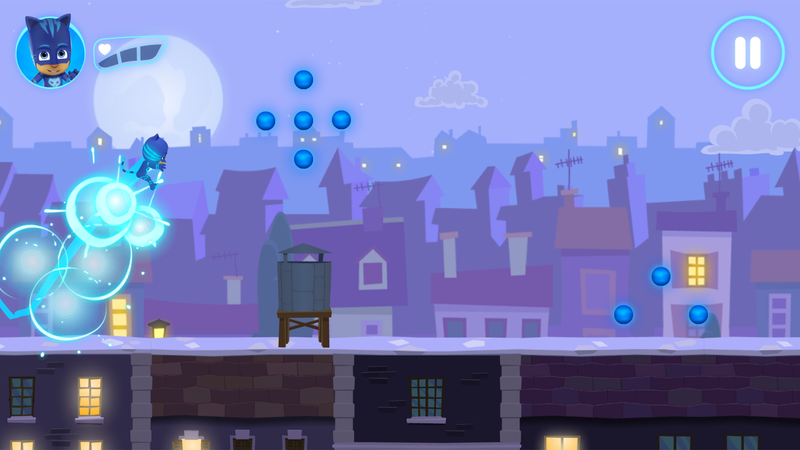 PJ Masks: Moonlight Heroes is a simple endless runner that any child should be able to grasp. 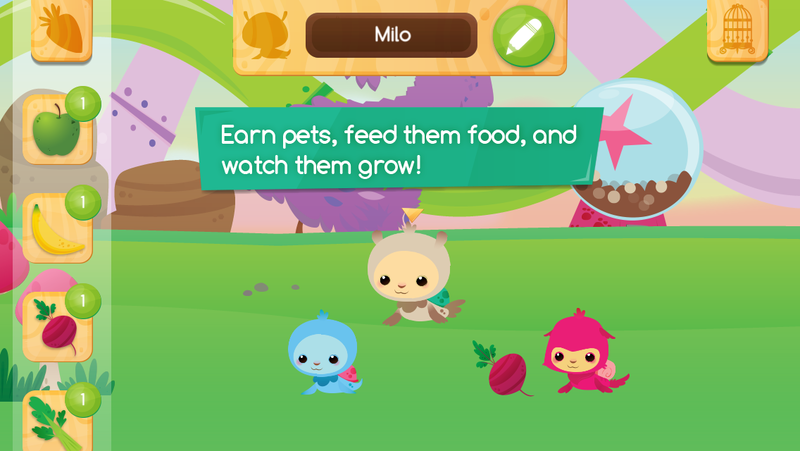 It features the characters Catboy, Gekko, and Owlette from the Disney Junior TV show PJ Masks. 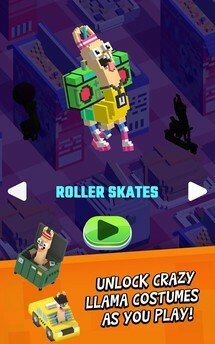 These three heroes each have their own unique ability for movement, where one flies, one crawls on walls, and one runs super fast. 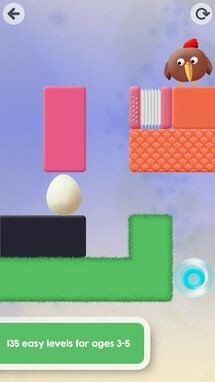 The meat of the gameplay is all about gaining the highest score through collecting as many orbs as possible. 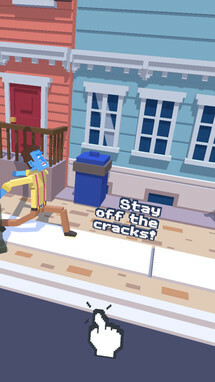 And if endless runners are not your kid's favorite style of game, then you should check out the rest of Entertainment One's titles, because just like PJ Masks: Moonlight Heroes they are all free of in-app purchases and advertisements. Catboy, Gekko and Owlette are back in this brand new PJ Masks game app. 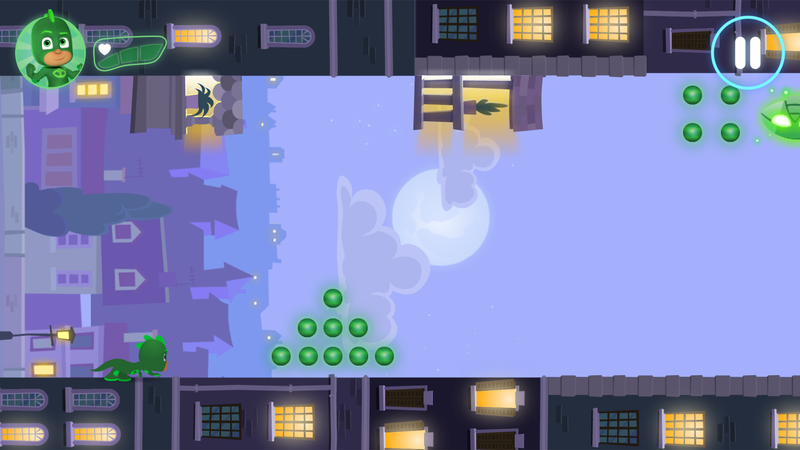 Choose your favourite hero character to play with and journey across the moonlit rooftops, and through the night, collecting as many orbs as you can. 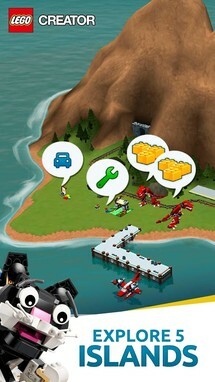 But beware of those pesky villains, they’re up to mischief again. If you are looking for a game that accurately represents what it's like to experiment and build with LEGO on an Android device, then you can't go wrong with LEGO Creator Islands - Build, Play & Explore. 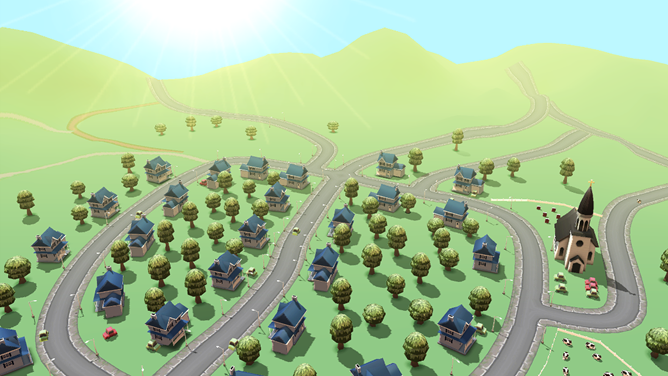 Not only is it a fun little building simulator game for boys and girls, but it's entirely free. As a matter of fact, all of LEGO System A/S's games are free and lack any kind of advertisement or in-app purchase. 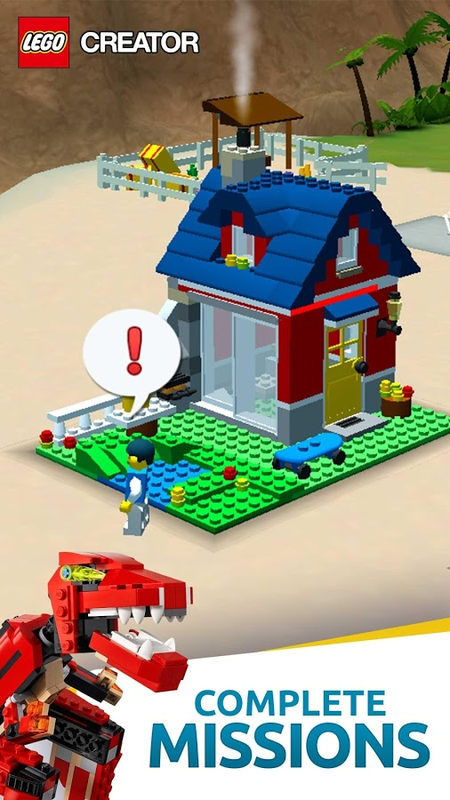 Mainly LEGO releases these games as a loss leader to gain interest in their brick sets, but thankfully their games are just as exceptional as their physical toys. 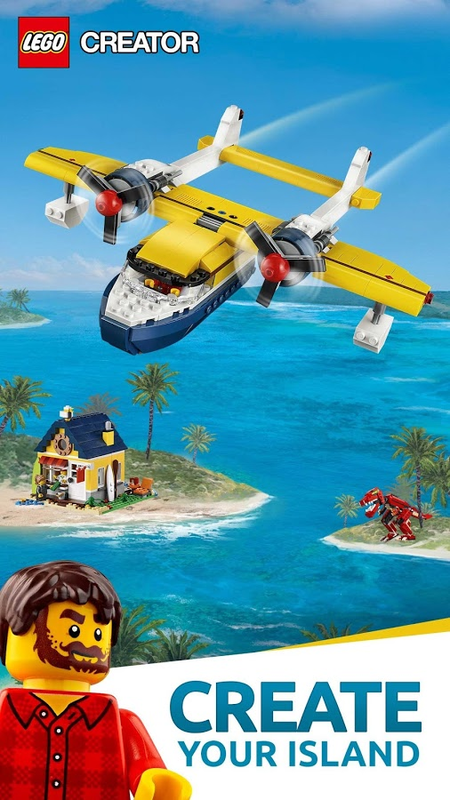 Explore, build and play on different, exotic islands with LEGO Creator sets that you assemble and use on the islands. 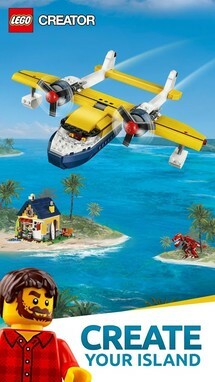 Build your favorite LEGO Creator houses and cool vehicles like off-road trucks, planes and boats, collecting bricks with each build to unlock more funny and clever 3-in-1 models, travel to new islands and meet the minifigures, monkeys, rabbits, cats and other adorable creatures living there. 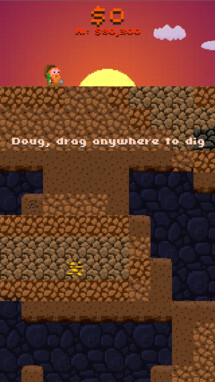 Okay, Doug dug. is a personal favorite of mine. 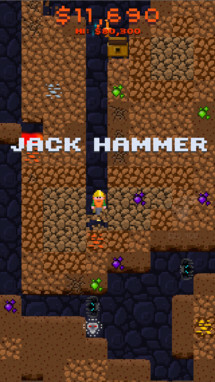 While it's not a new game by any means, I feel it does not get the praise it deserves. 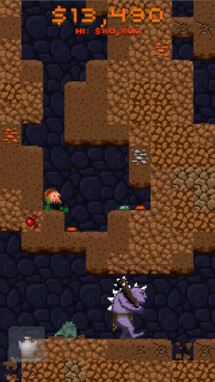 Essentially this plays a lot like a mix of Mr. Driller and Dig Dug. Thankfully the controls are quite simple, which should allow just about any kid to grasp the main mechanic of digging down as far as you can. 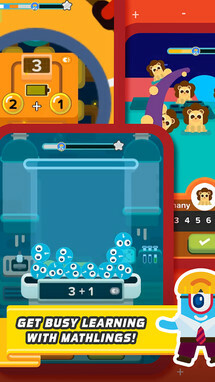 Oh, and unlike many free-to-play games, you never use the currency for anything other than trying for the highest score. 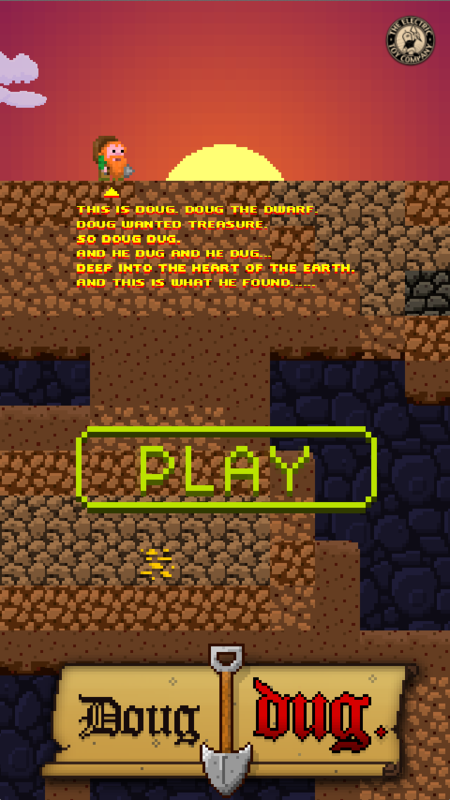 Doug dug. 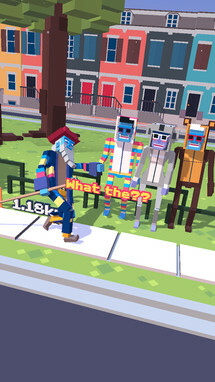 is all about high scores. Tornado Time Free is an older game, but man is it a good one. 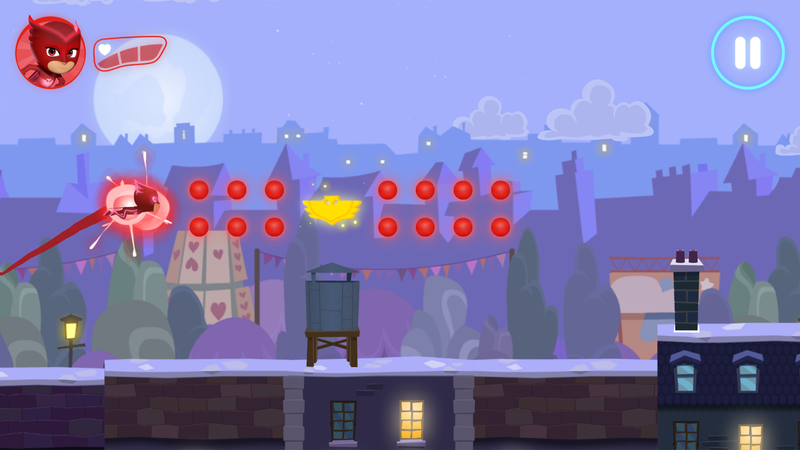 It's simple in scope, as there's only one stage and you only have one goal, destroy as much of the town as possible. Basically, it is your job to get the highest score possible. While that type of setup is repetitive in nature, I doubt many children will notice the lack of variety. Plus, it's super fun to destroy the town over and over again. What kid wouldn't enjoy that? 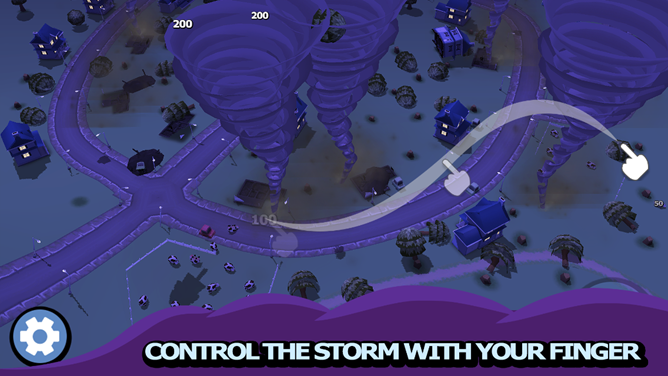 Take the reigns as you play your way through a fun, physics based game where you wreak havoc with your tornadoes. YOUR TORNADOES - Create and direct each tornado as you attempt to increase your score, increase the destruction and unlock all the of the achievements. 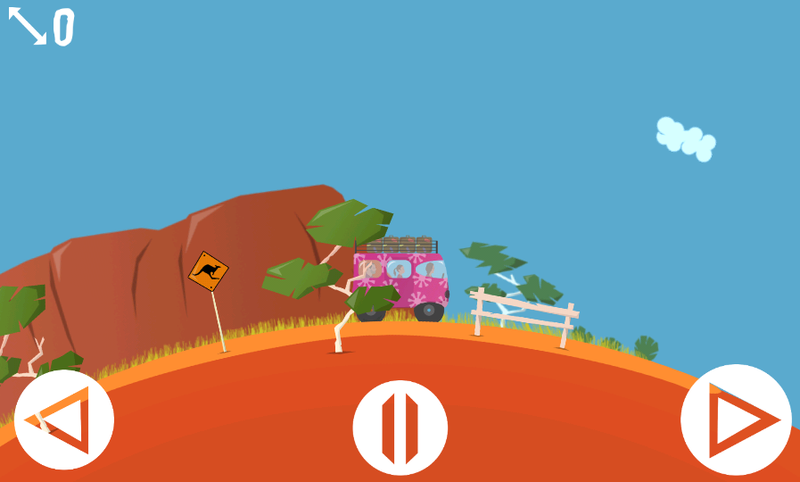 FUN CHALLENGES & ACHIEVEMENTS - Wind your way through diverse challenges and achievements, including juggling acts, cow launching and car smashing. Sure, Road Trip - Endless Driver may look like another endless runner, but it is its blocky design and simple swipe controls that really create an engaging experience. 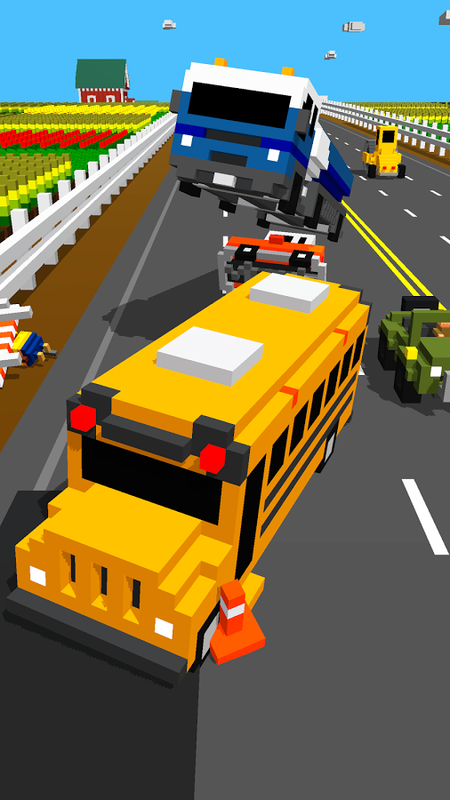 Plus you have a ton of different ways to outrageously crash, which should be amusing to most children. There are 33 cars that can be unlocked, and it's all done through gameplay thanks to the absence of any in-app purchases. This way your kid can play at their own pace without you needing to worry about the game hitting them up to spend your money. 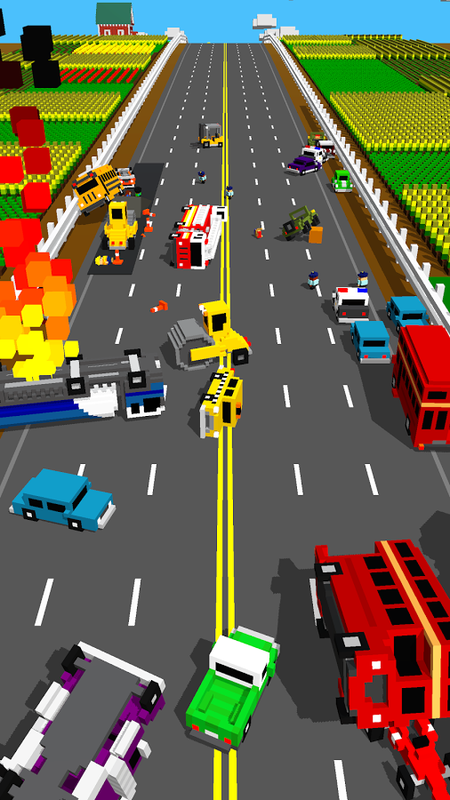 An endless driving game with insanely realistic crashes. 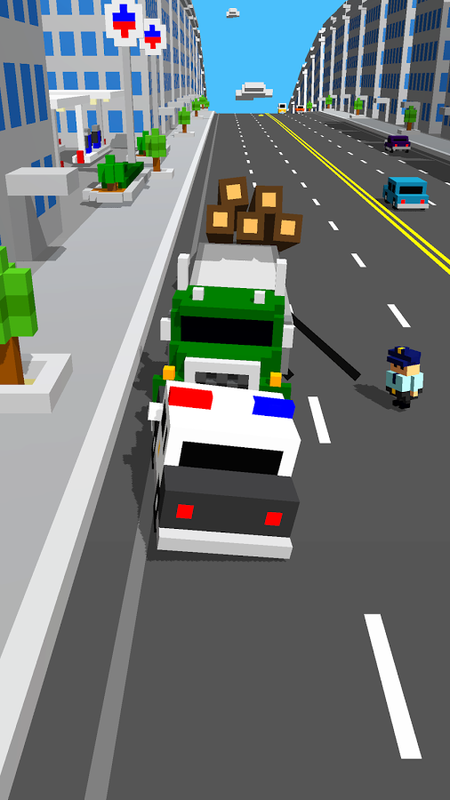 See how far you get before you hit a log truck, golf cart, steam roller or all of the above. Super fast driving, super realistic crashes. 33 different cars, more added all the time. 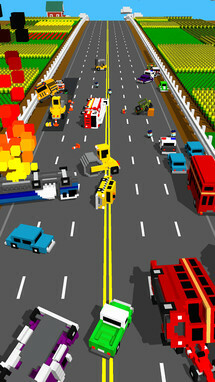 Explosions, people getting out of cars, golf clubs, and lots more stuff happens after you crash. 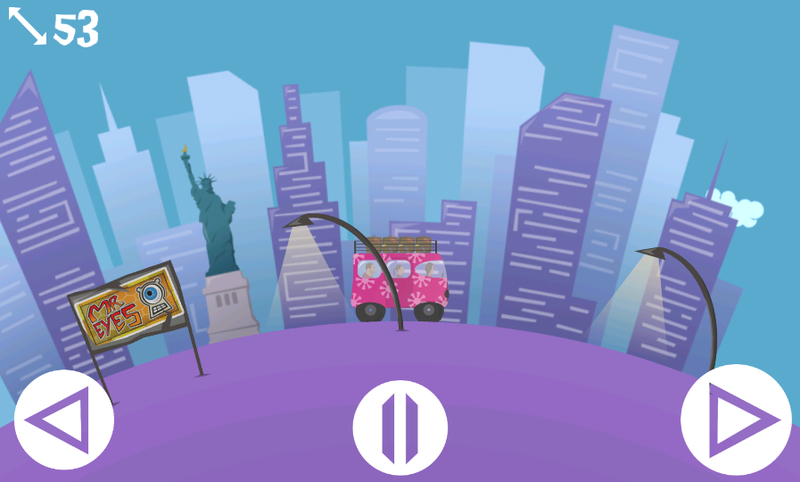 Construction sites, tunnels, intersections and more. Video replays of every crash that can be saved to your gallery, send via text message, posted to Youtube, whatever you want. 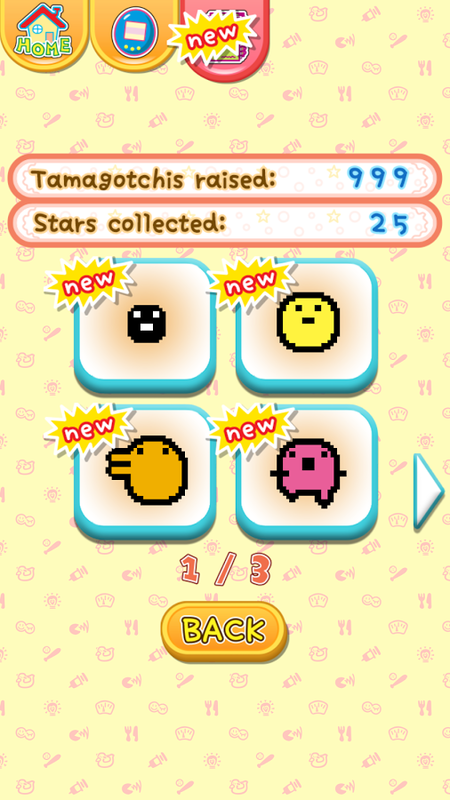 Most of you are going to be pretty familiar with what type of gameplay Tamagotchi Classic - Gen1 contains. 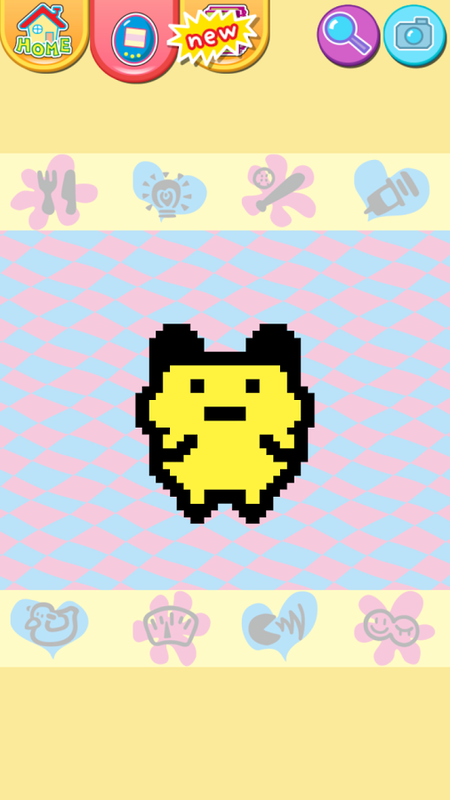 For those of you who don't know what a Tamagotchi is, well, it is a digital creature you want to healthily raise through feedings, playing games, and cleaning up after it. The better care you take of the creature, the happier it will be. 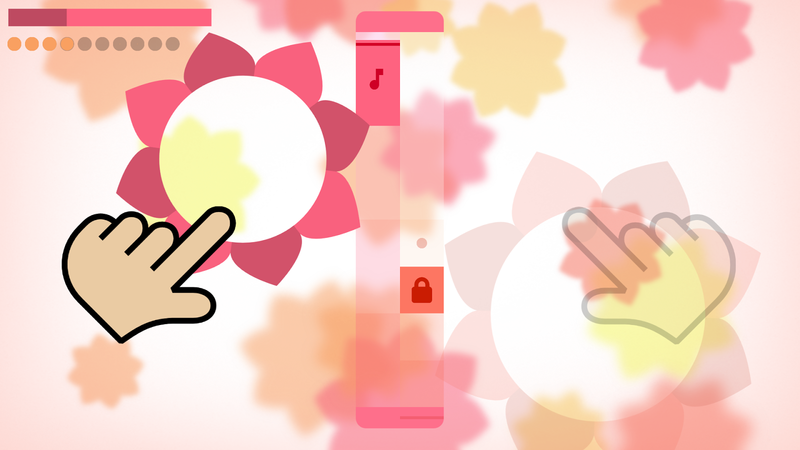 There are two modes of play available, one that simulates a physical Tamagotchi, and one that utilizes all of your device's screen space. 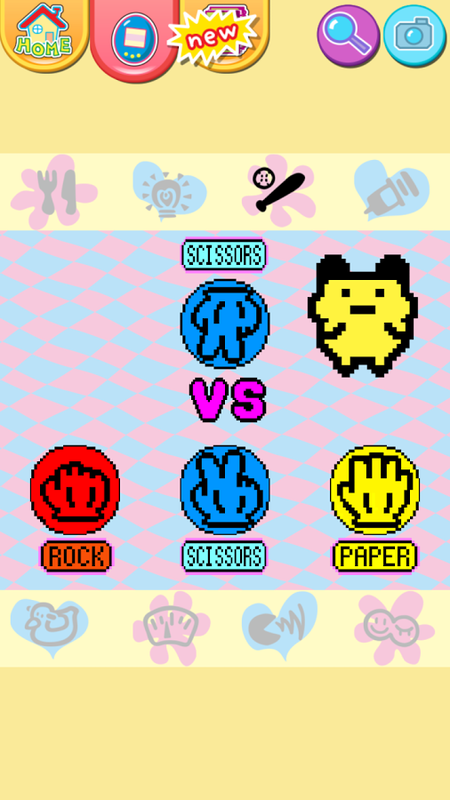 But either way you slice it, Tamagotchi Classic - Gen1 is the original and the best creature raising game. Now you can play the original Tamagotchi on your smartphone. 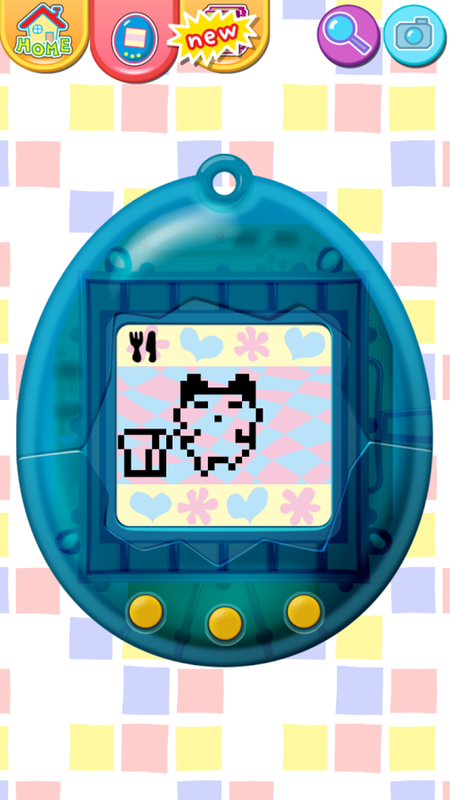 Give them food, flush their droppings, and all the other fun things you can do to care for your Tamagotchi. Respond to your Tamagotchi's calls diligently and raise them well. 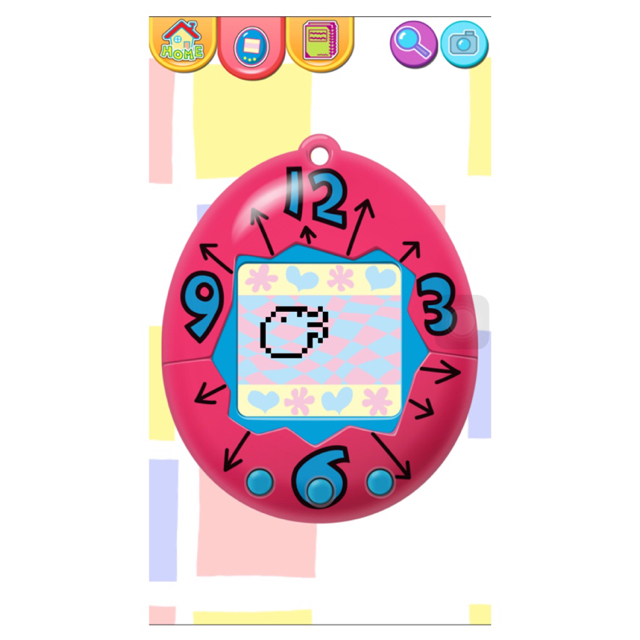 There's a Toy Mode which recreates the original Tamagotchi devices from back when they first hit the scene, and a fully colored, touch screen enabled App Mode that you can switch between whenever you want. 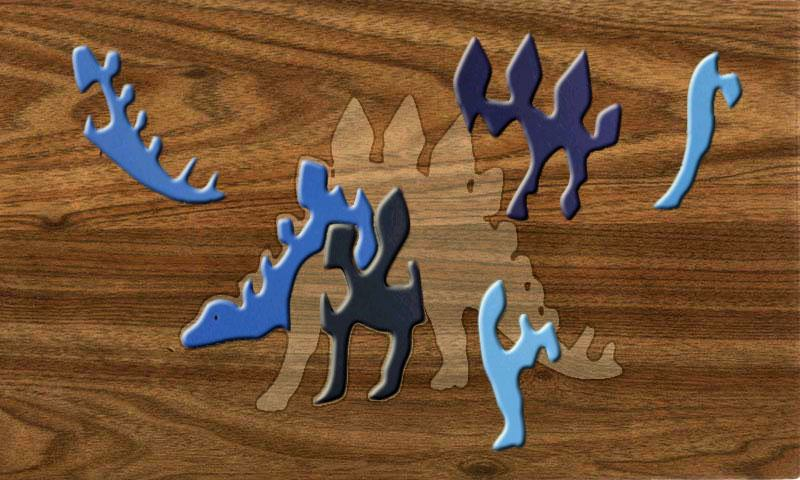 Smart Kids Puzzles is a slick looking wooden puzzle game for small children. 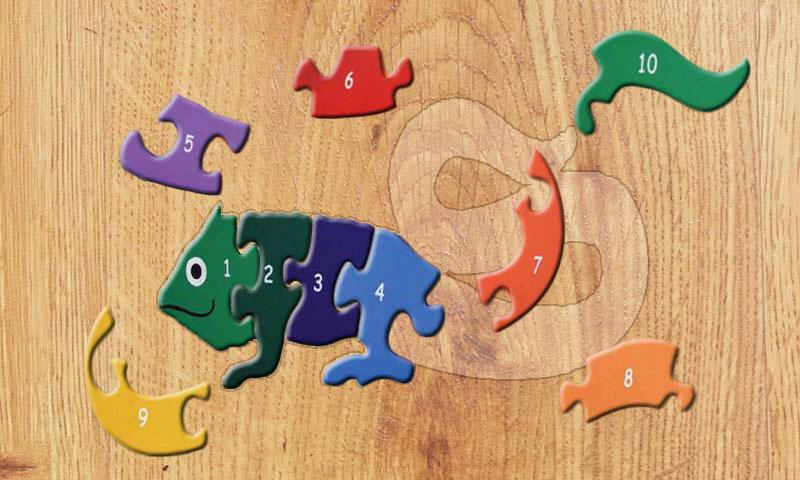 The puzzles take the shape of many random animals where it's the player's job to assemble a bunch of colored puzzle pieces into the shape of the target animal. 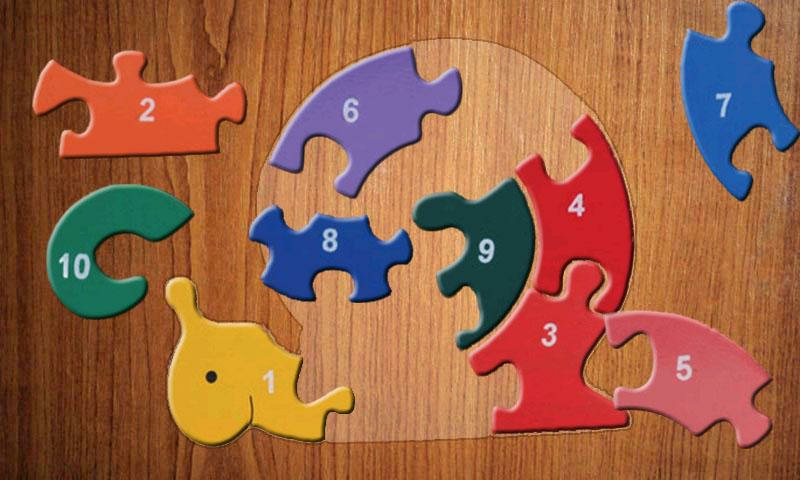 While none of the puzzles are overly complicated, I would imagine that is by design so that even the youngest of players can earn a sense of accomplishment. 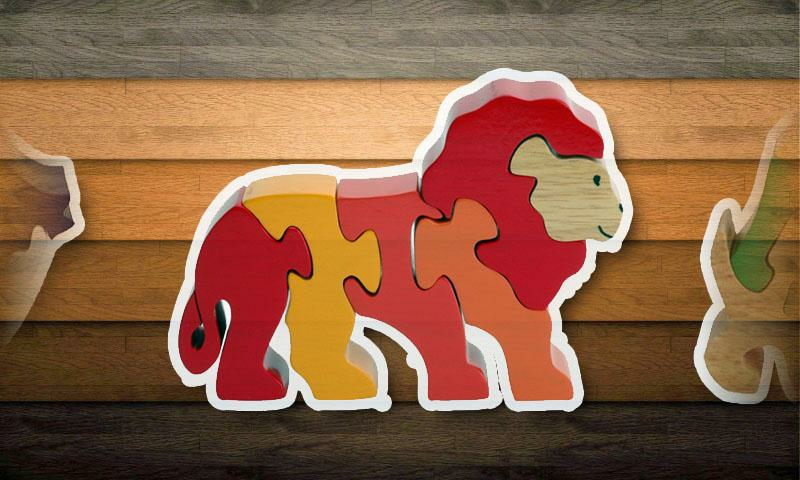 An educational and entertaining game for kids, with a lot of beautiful wooden puzzles. 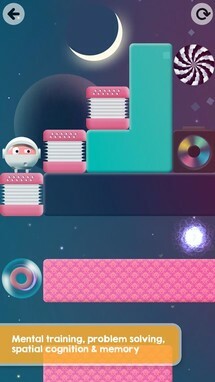 Tiny World is a cute and colorful game with simple controls. 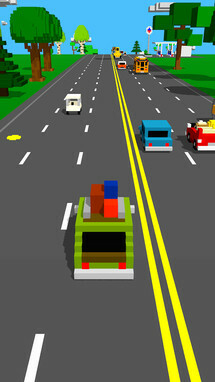 You either tap on the left or right side of the screen to control the direction and speed of your vehicle. As it traverses its curved world, it is the job of the player to keep control of the bags stored on top of the vehicle. Any bump in your path may knock out a few of these bags. Once every bag has fallen off the top, the game is over. Basically, you want to see how long you can last without dropping these bags in order to acquire the highest score possible. 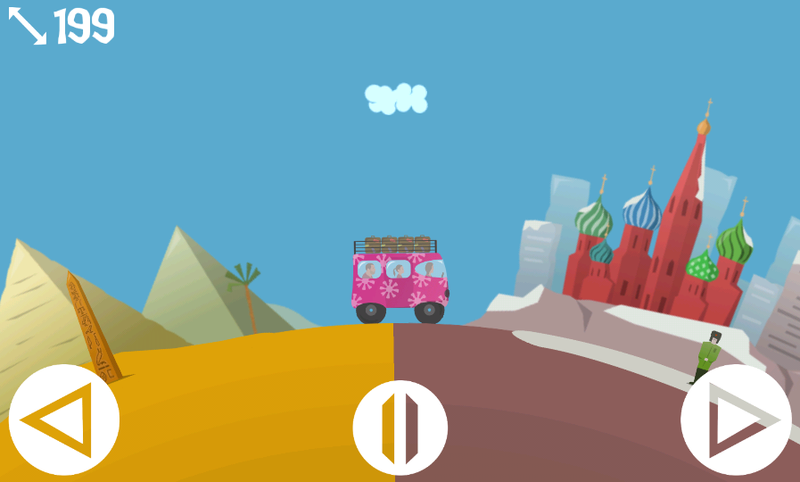 Are you looking for a nice little colourful game which is easy to handle and that takes you away in a few seconds? 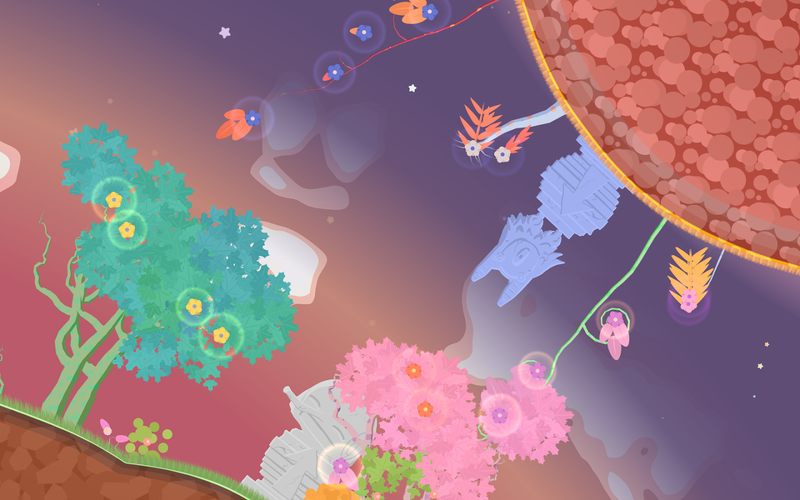 ...Then, welcome in “Tiny World”. 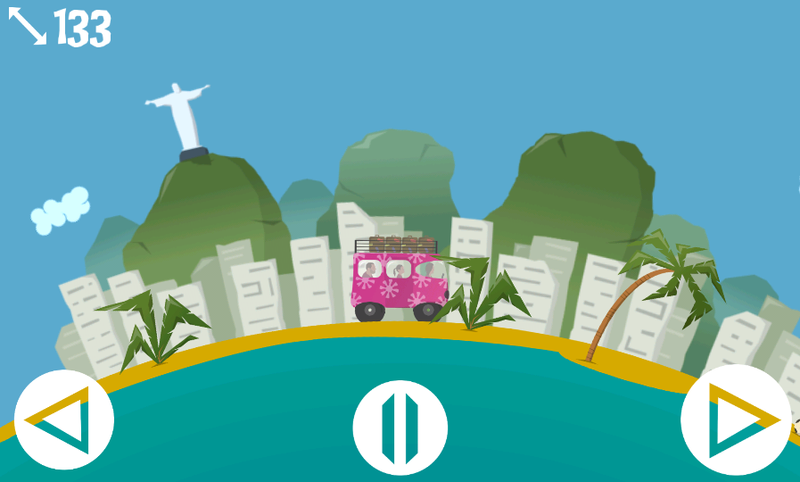 Play "Tiny World" and embark on the most international driving game, navigating a van across the world and testing your skill and anticipation. But beware, if you lose your luggage you will have only to return to the start again in an attempt to set a new record. 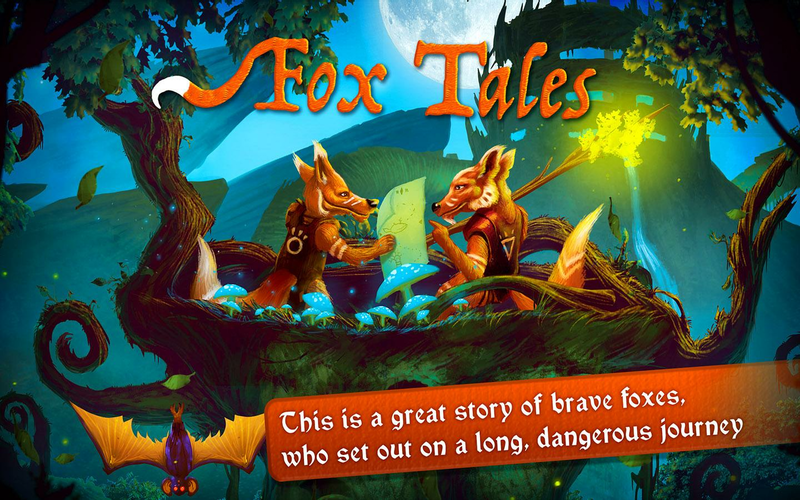 If you are looking for a great interactive story to read to your kids or simply something to help them learn how to read, then look no further than Fox Tales - Kids Story Book: Learn to Read. 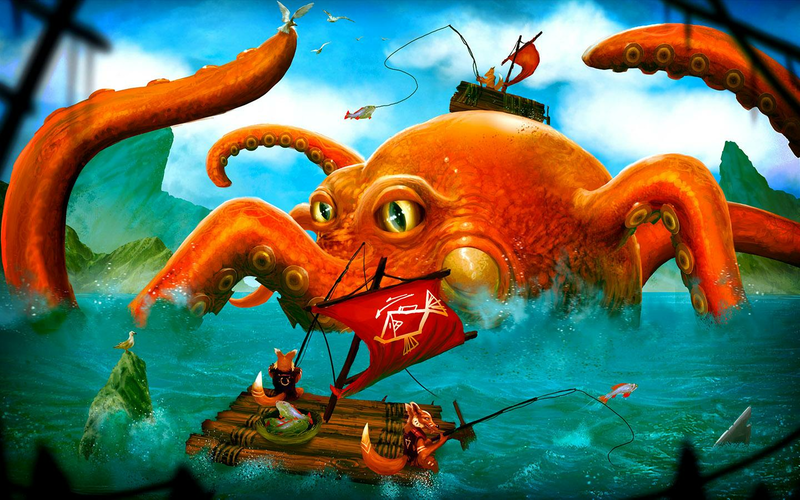 Not only does it feature plenty of adventure game aspects for you child to interact with, but it makes for a great bedtime tale thanks to its heartfelt story. There are 45 pages with hand-drawn illustrations with a total of 84 hidden stars to be discovered, which should provide hours of entertainment and replayability for any child between the ages of 5-12. 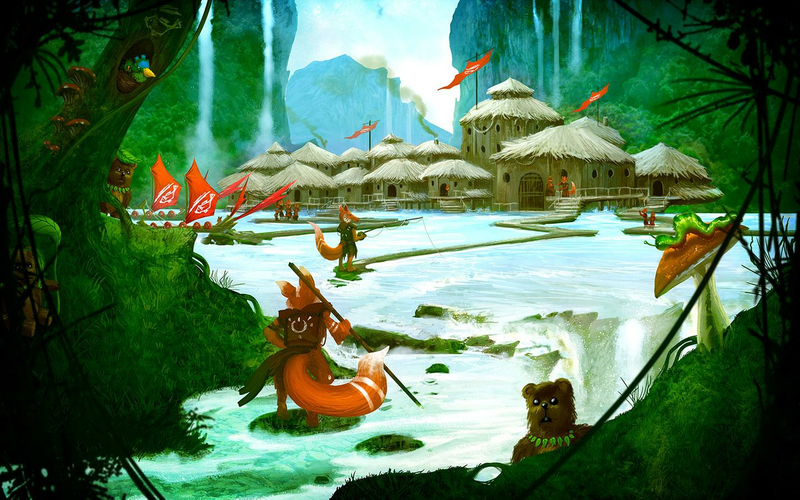 “Fox Tales” is an interactive story with features of an adventure game for children aged 5 to 12. It will be excellent both as an individual activity for a child and as a bedtime story, read out by parents. 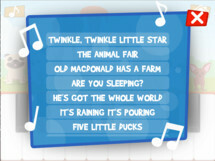 Since the text is visible on the screen, the story may also be a perfect aid when the child learns to read. The text may be read out by the parents or by a professional reader. The game DOES NOT include any advertisements or micro-payments. When your child is reading “Fox Tales”, you may be satisfied. 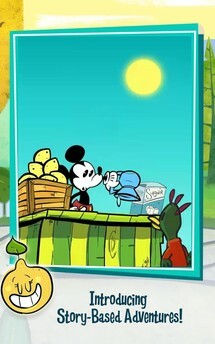 Disney has taken their popular Where's My Water? 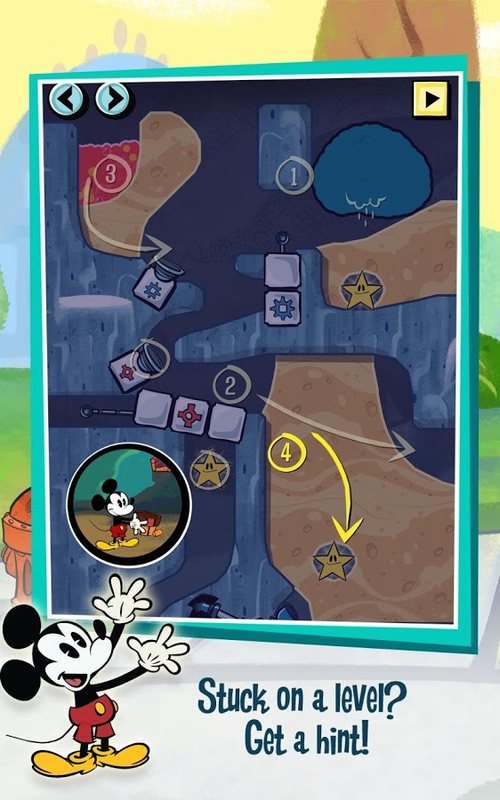 physics-based puzzle game and skinned it with a Mickey Mouse theme for the release of Where's My Mickey?. Not only does it contain 5 unique episodes with surprising and witty scenarios, but there are also brand new weather mechanics that change up how you interact with each stage. Just make sure to watch for the included advertisements and in-app purchases, and you should be able to find an enjoyable experience for your child. 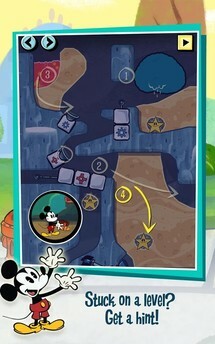 Join Mickey on a brand new adventure in Disney’s most popular mobile game franchise. Where's My Mickey? introduces a whole new world of life-like physics-based gameplay with stimulating weather mechanics and humorous animations. 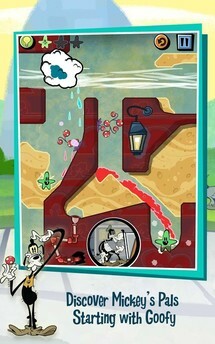 Immerse yourself in the ultimate mobile gaming experience as you watch funny episodes while solving challenging puzzles. 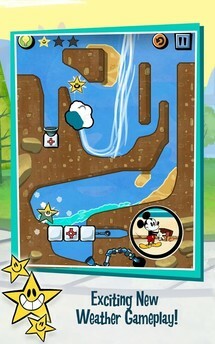 Tap, swipe, and swirl to help Mickey collect water and complete each story. Every drop counts. 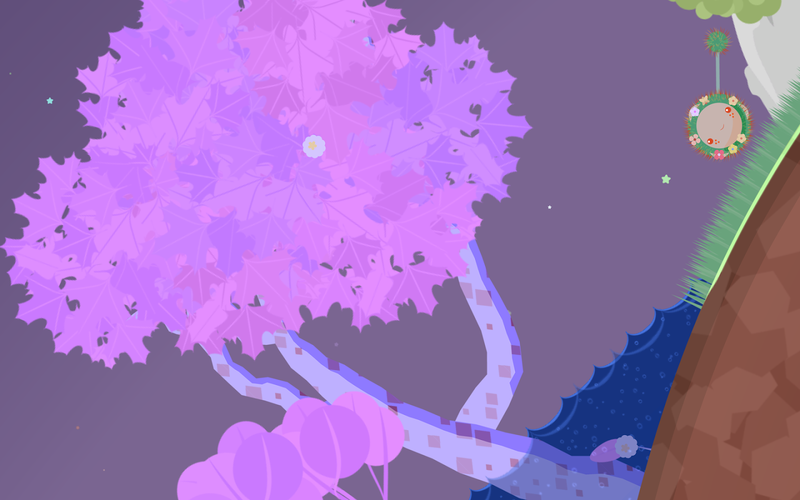 How do I explain Shu's Garden+? 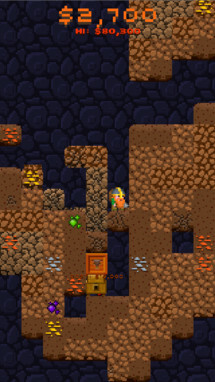 While it is a sandbox experience, there appear to be at least a few hidden goals for the player to hunt down. But for the most part, this is a bright and colorful playground for you child to explore. There is nothing to read, and the controls are quite simple. Any child no matter their age should be able to enjoy the gameplay. 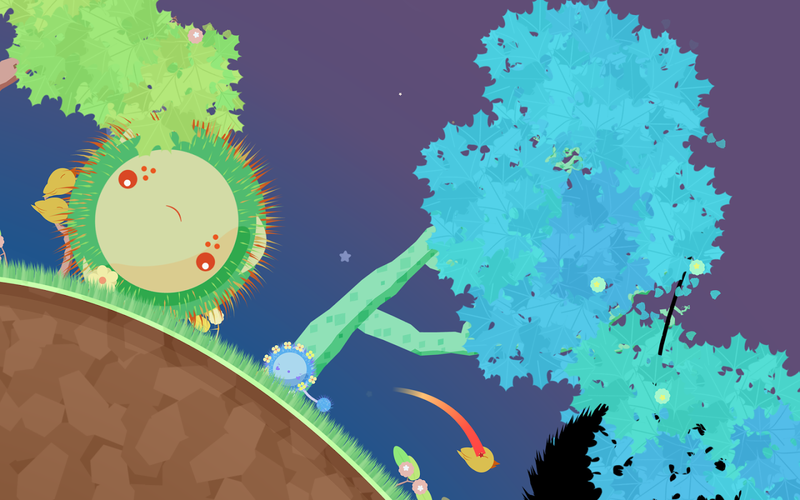 As Shu, a space-cactus of the bouncy persuasion, you spring from planet to planet, spreading plant life and finding new friends. Create a forest. Enjoy a splash in a pond. Play tag with a bee. Make weird hybrid plants. 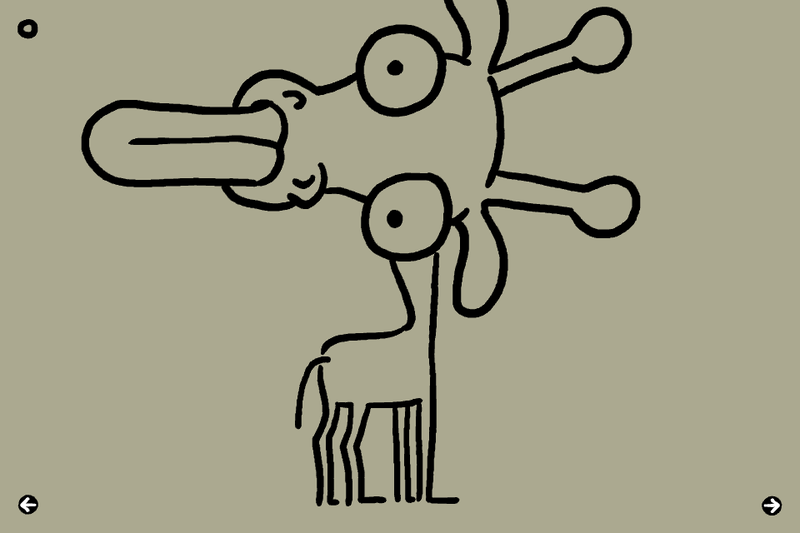 Launch a giraffe into orbit. 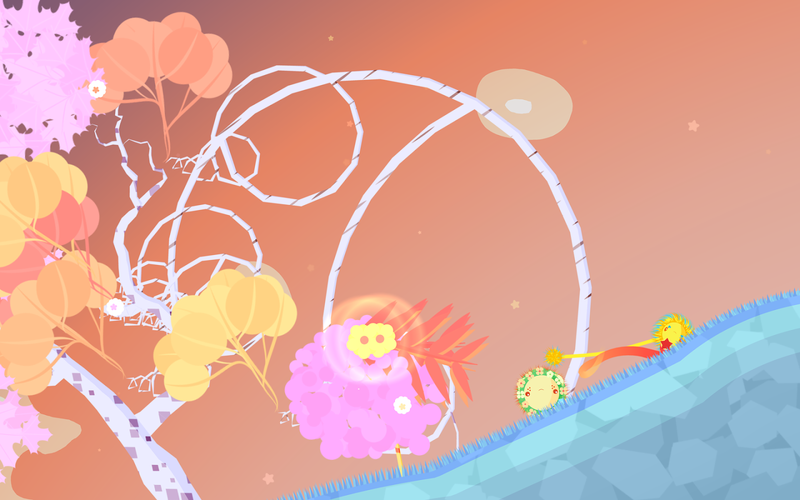 Shu’s Garden is a fully open playground with no hard goals, scores or missions. 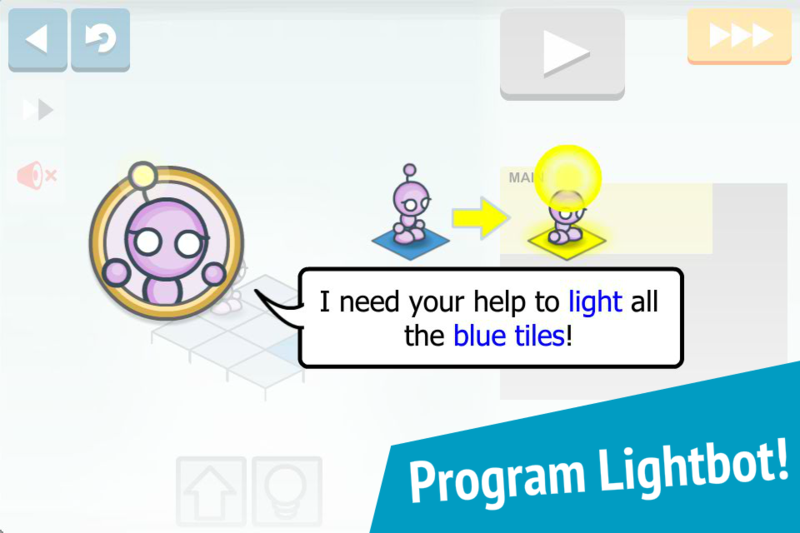 All the parents out there that would like to get their child interested in coding early should take a look at Lightbot Jr : Coding Puzzles. 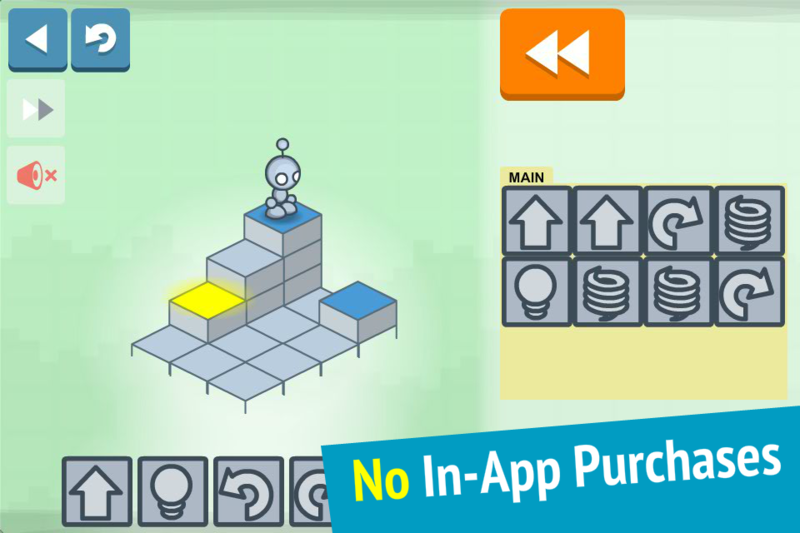 Essentially Lightbot Jr is an easier version of the popular Lightbot : Programming Puzzles. 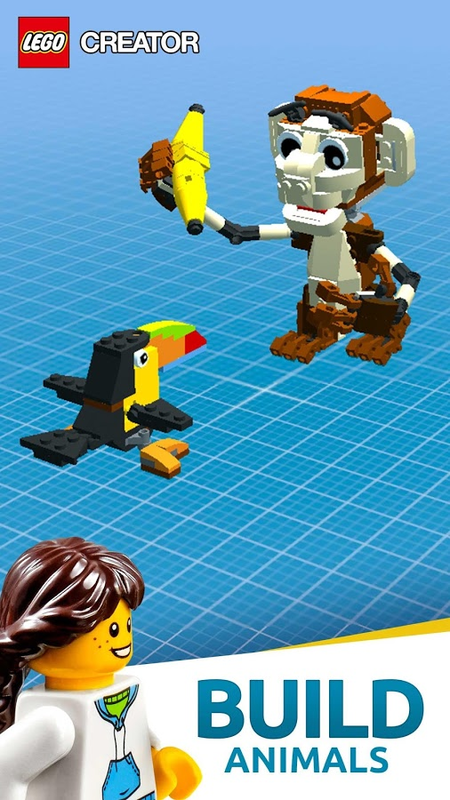 It is intended for children between the ages of 4-8. 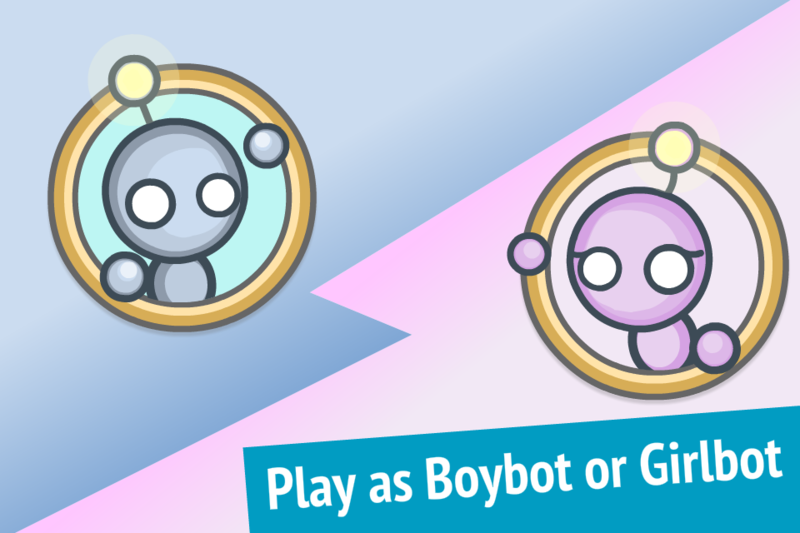 There are a total of 42 levels where your child can play as Boybot or Girlbot as they solve problems that are rooted in computer science concepts. 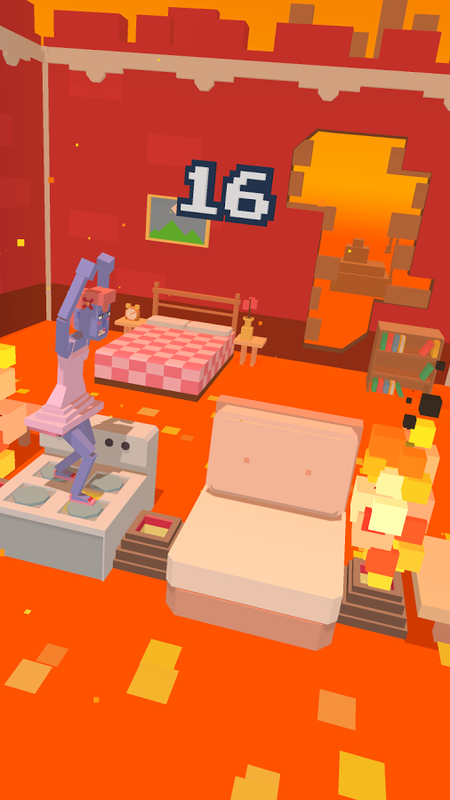 And if you find that your kid enjoys this game, then you will also want to check out the rest of Lightbot's fantastic catalog. 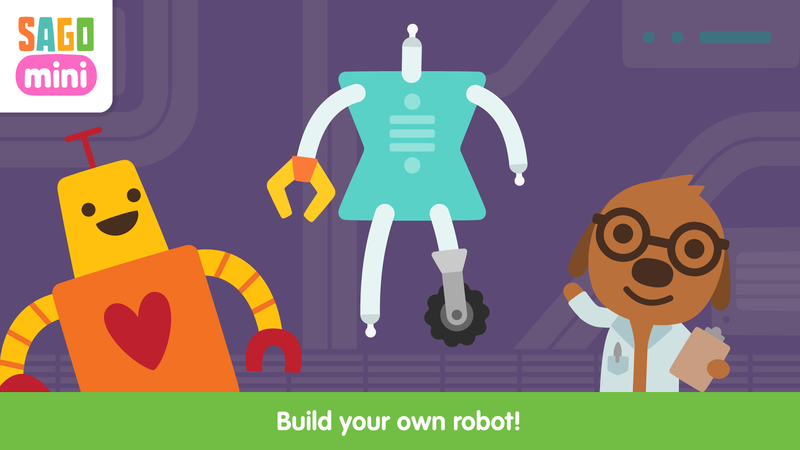 Sago Mini Robot Party is all about allowing your child's creativity to shine through creating an assortment of robots out of hundreds of different robot parts. You kid can mix or match to their liking, all in order to assemble the silliest creations their imaginations can muster. 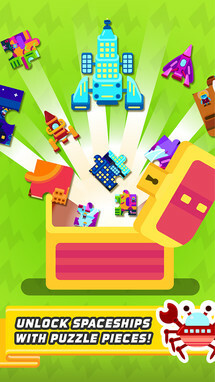 And if robots are not your child's biggest interest I would wholeheartedly recommend checking out the rest of Sago Mini's games. 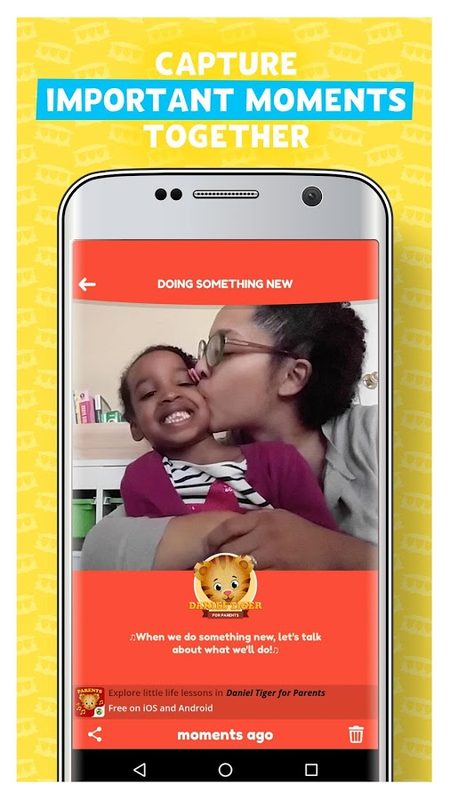 Every single one is targeted towards preschoolers while offering fully trustworthy monetization practices that any parent can appreciate. 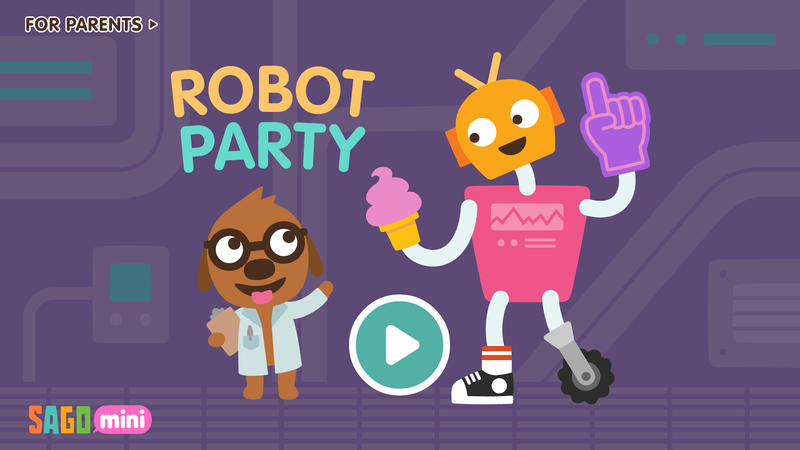 Let’s have a robot party. 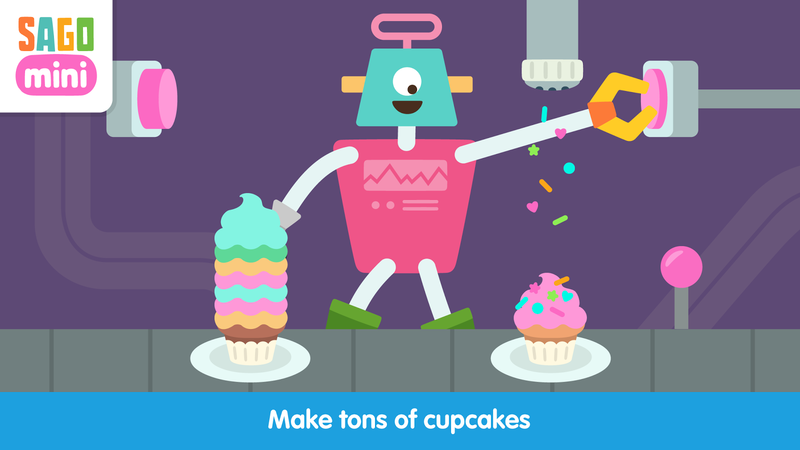 Build your own cupcake-making robot. Mix and match funny robot parts to invent super silly combinations. Does your robot have two heads or wear bunny slippers? 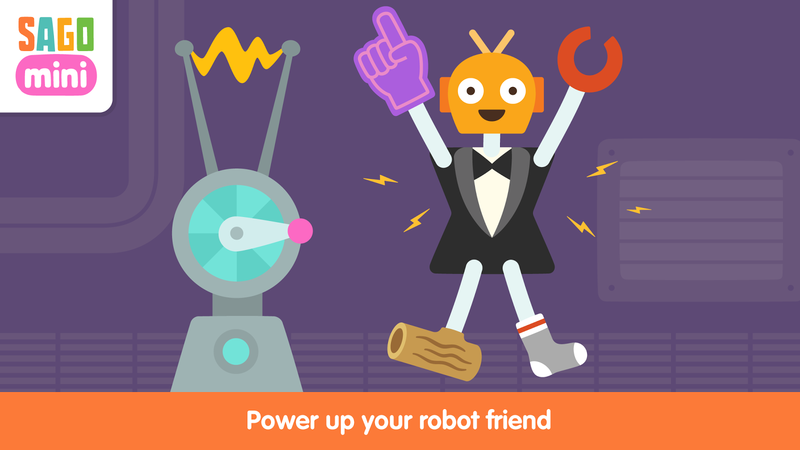 Power up your robot and it’s time to play. 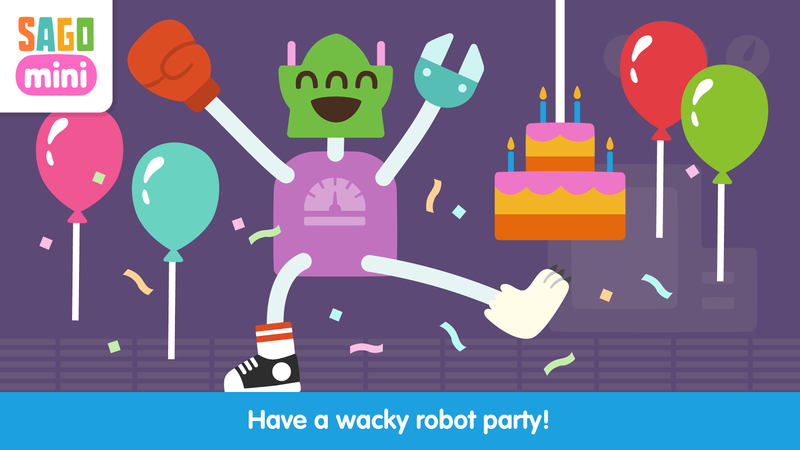 Make tons of cupcakes, dance to robot music and celebrate with balloons. 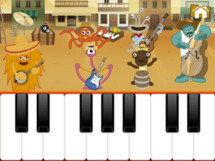 Kids Piano Games PRO is something of an educational music game. 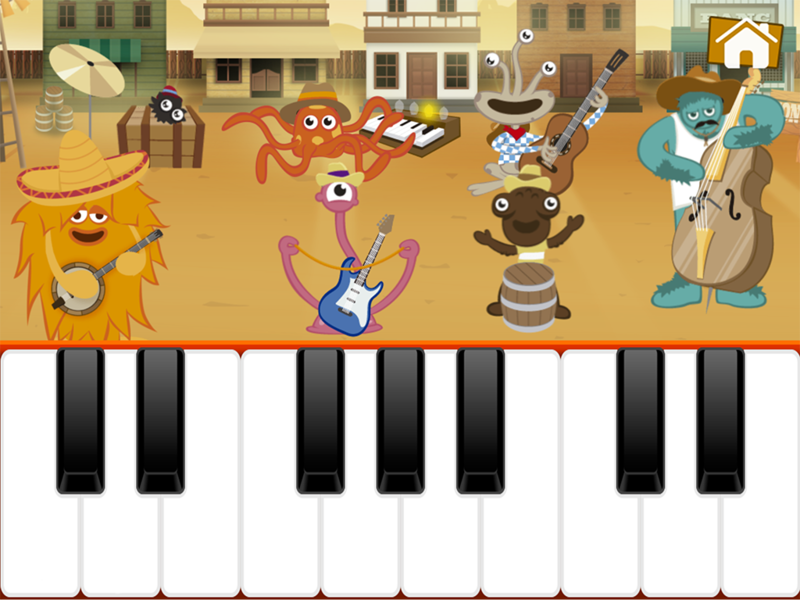 It starts your kids on the path of learning the piano as well as gives them the skills to identify particular instrument sounds. 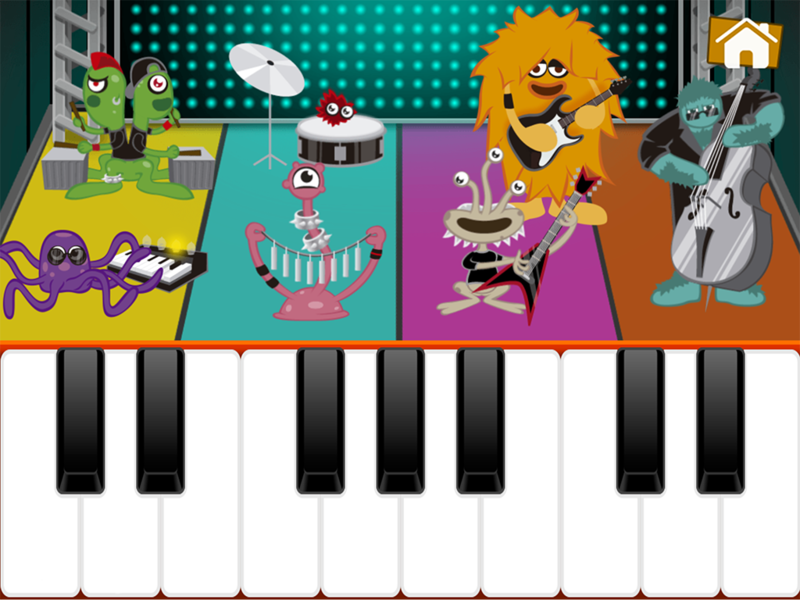 Basically, this game encourages your children to explore music creatively by helping out a band of friendly monsters who are preparing for a concert. There are 8 musical notes available, which should allow for an easy way to learn how to play some of the most popular children's songs. 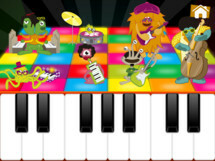 The child can compose their own rhythm by creating fun songs of different musical genres through experimenting with different beats and instruments as well. 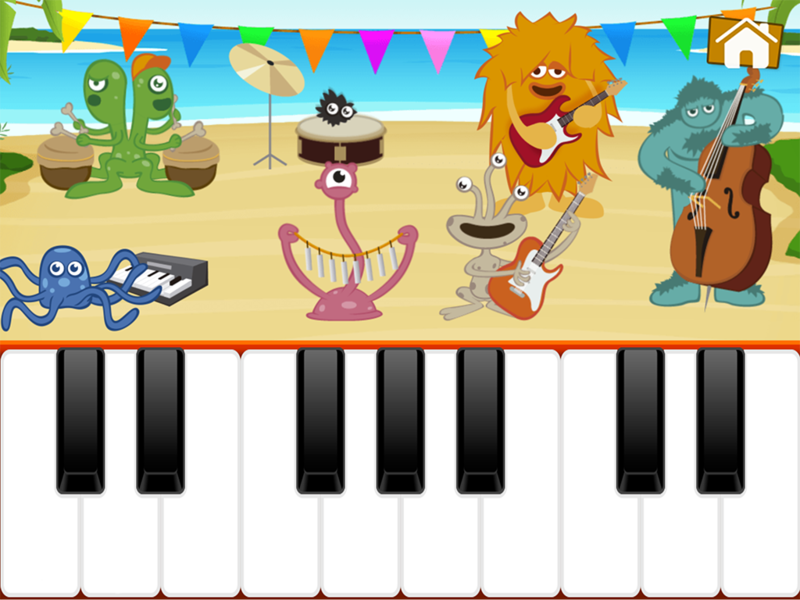 Overall, children of all ages can enjoy learning mixing sounds and composing songs with the help of a musical monster band. 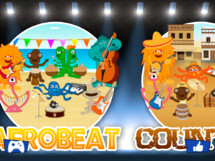 Your child will certainly have fun with the different characters in the game, each one with their own sound and musical rhythm to play instruments on stage. I wouldn't say Petting Zoo is a game per se, but more an assortment of interactive pictures. That means there is no real goal, other than to see how many crazy reactions you can find by tapping and swiping on the 21 available animals drawn in this app. I would imagine any child should find these differing reactions humorous and amusing, which to me says that Petting Zoo is a great choice for your kid's entertainment. 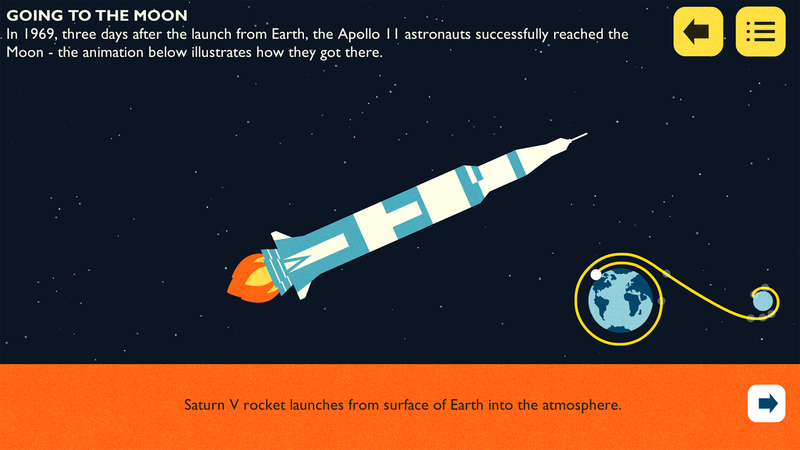 From acclaimed author and illustrator Christoph Niemann comes this interactive picture book. 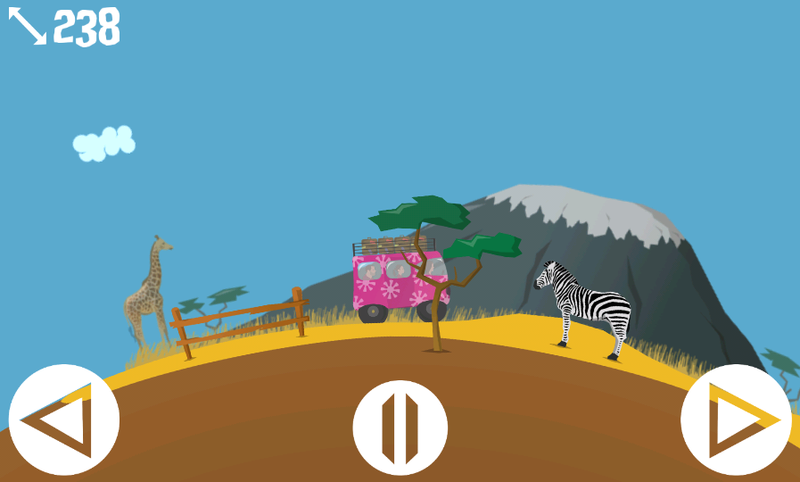 Swipe and tap the 21 animals and be surprised at how they react. 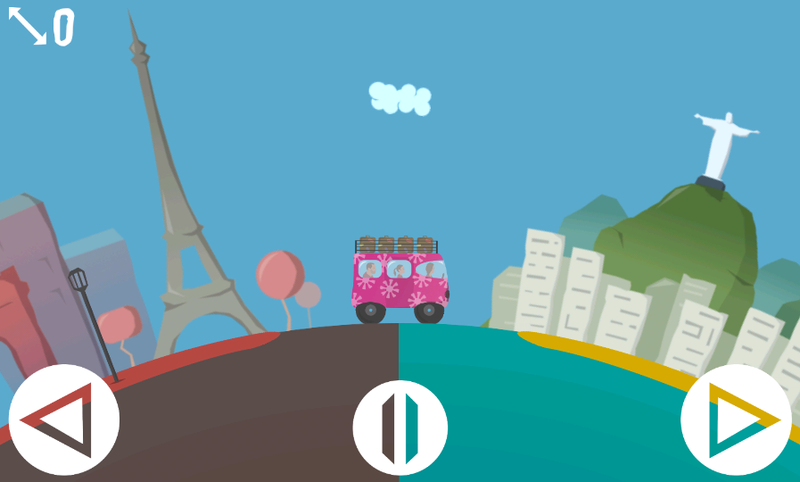 This app combines the charm of hand made animations and Niemann's wry humor with state of the art technology. 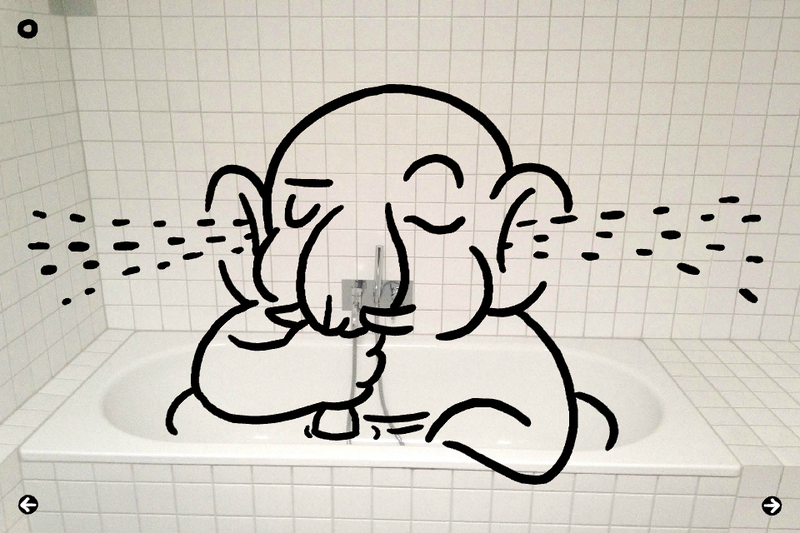 What would an elephant in your bathroom do? Can a dog break-dance? 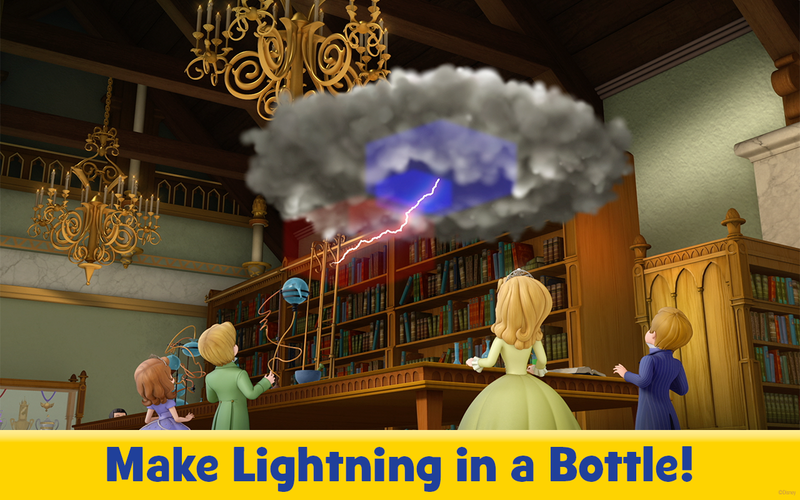 A storybook app unlike all others. 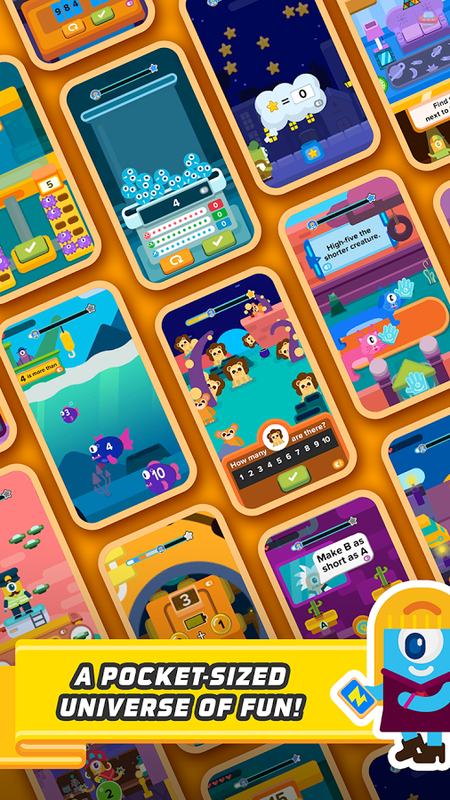 Avokiddo is another top quality kid-focused publisher that releases highly polished educational apps with ethical monetization. 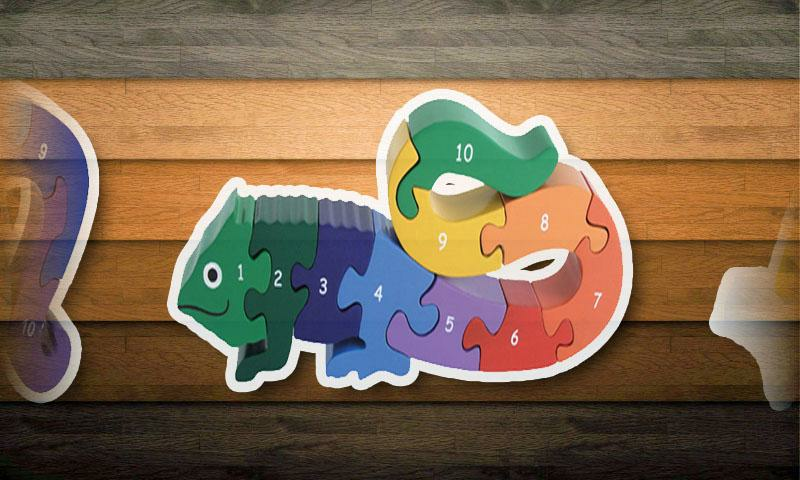 One of their most popular games is Thinkrolls 2 - Logic Puzzles, a logic puzzler for kids 3-9 years old. 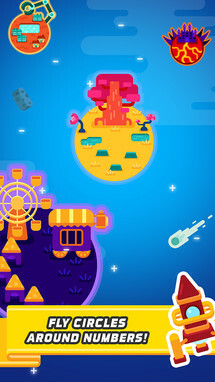 The graphics are bright and colorful, the controls are spot on, and the lack of in-app purchases and advertisements alleviates any worries of needing to spend any more money on the title past the initial asking price. Take pride in your children's achievements, as they sharpen their minds and solve increasingly challenging puzzles, all while having fun. Thinkrolls 2 is molding the next generation of scientific geniuses and will have the whole family enthralled. 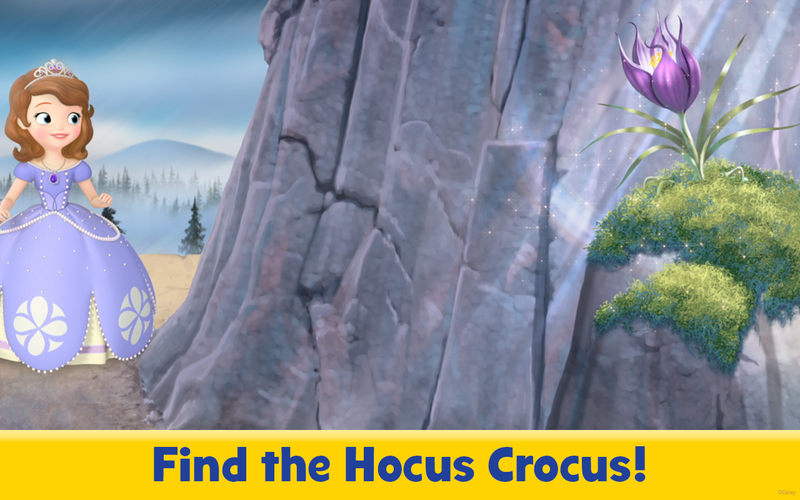 Children must use all their wits to navigate 32 spunky characters through 270 levels of increasingly complex mazes (135 for ages 3-5 and 135 for ages 5-9). Finger Hoola is a pretty unique title. It is your job to try and spin a digital hoop at certain set speeds. Basically, you will see a graph in the middle of the screen that has a bar in it. This bar needs to stay at a certain level in the graph for a set amount of time. In order to keep this bar where you want it, you need to spin your hoop at a particular speed. This takes a good bit of hand eye coordination, so may not be ideal for smaller children. 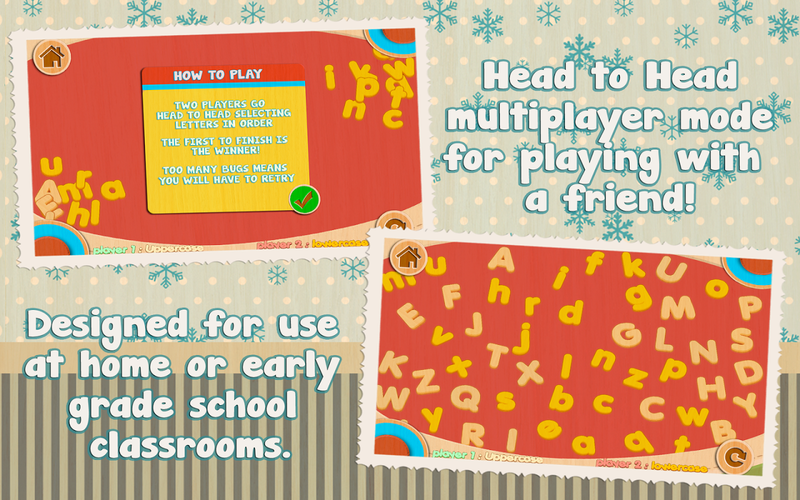 Luckily Finger Hoola is a multiplayer game, so you can help your child along as you play with then, if need be. 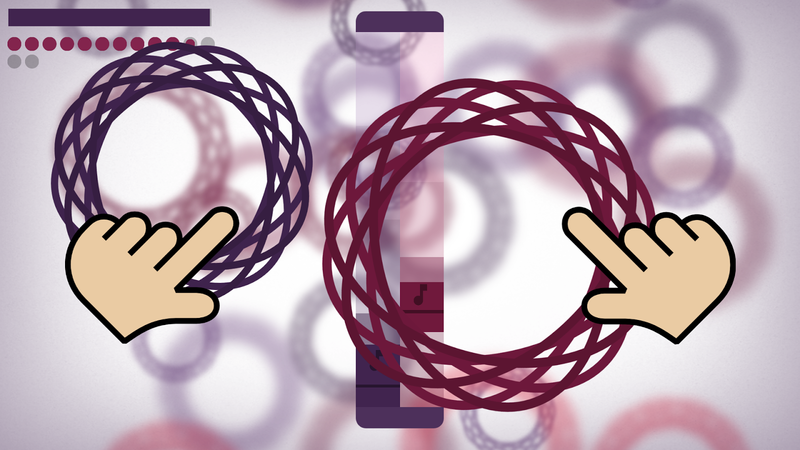 Spin rings around your fingers and escape into a world of ambient sound and abstract shapes. 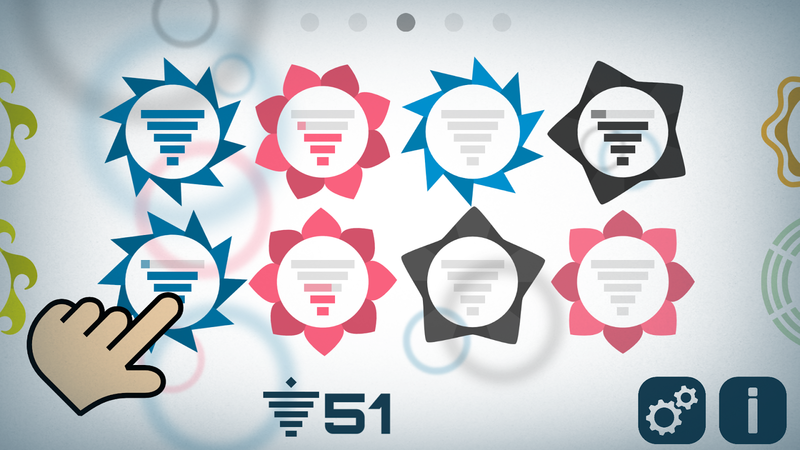 Develop your dexterity and unwind your mind. WARNING: Moments of meditative focus can lead to sensory climax. Grass skirt NOT required. 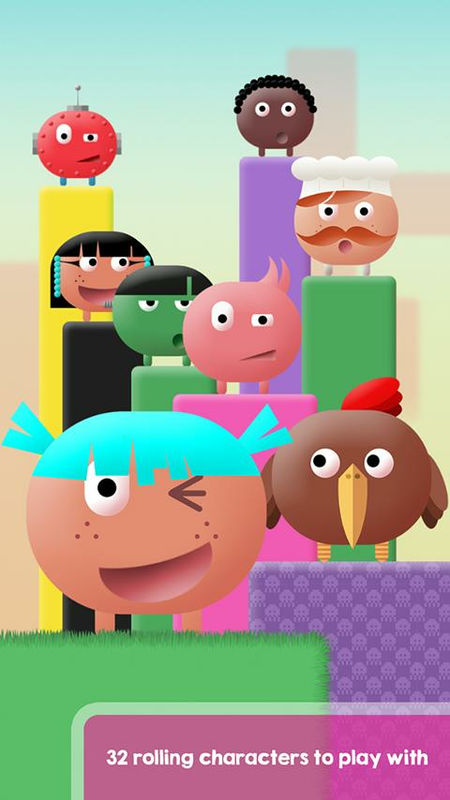 Zap Zap Kindergarten Math is an educational adventure game perfect for children aged 3-6. 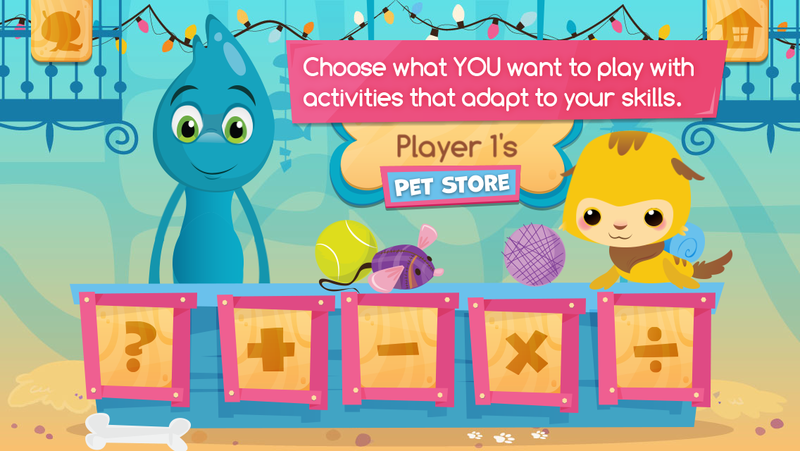 Basically, you can expect a collection of fast-paced math games that will be a solid introduction to mathematics. 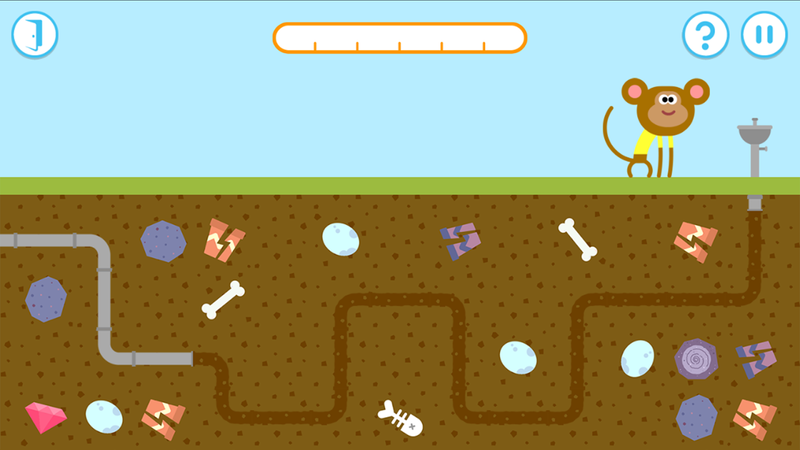 This content mainly includes addition and subtraction, place values, and measurement and data, but it is the gamification aspects that really help to keep your child interested in learning. Oh, and you can ignore the Play Store's in-app purchase inclusion statement, as there are none to be found after you install the game. 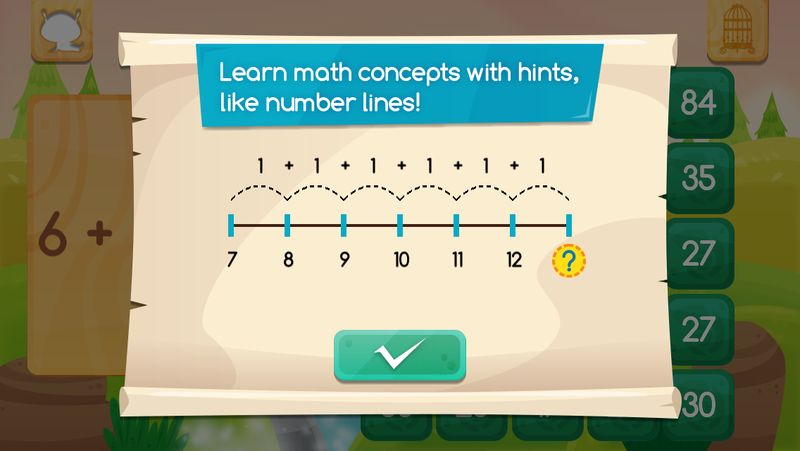 Zap Zap Kindergarten Math makes math for kids an exciting event to look forward to, with a variety of gamified challenges across different settings. 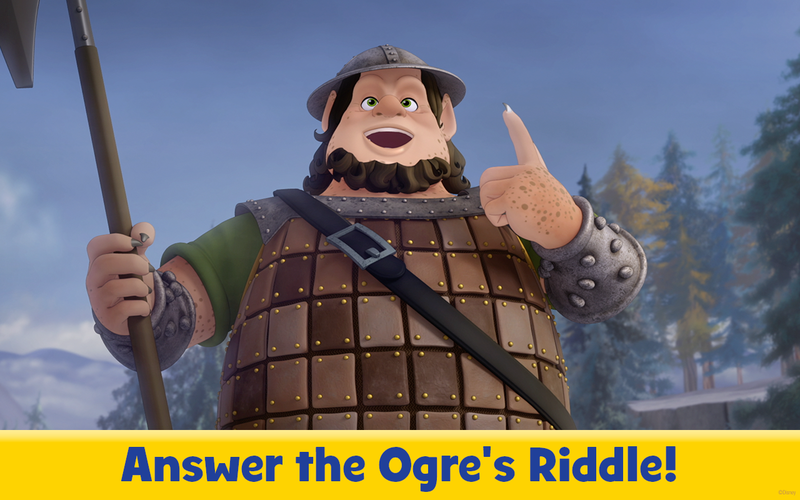 Choose between two characters, and then level up by answering math questions to improve your total score. 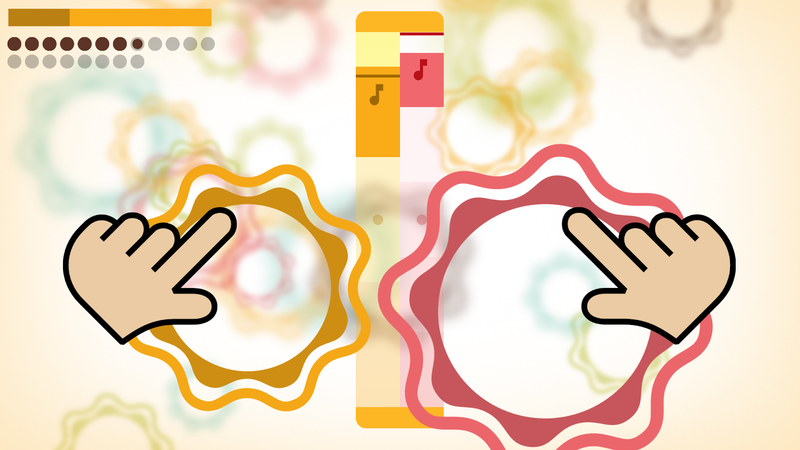 Our adaptive learning feature also ensures that every player will be playing at just the right level of difficulty, so he or she will always be suitably challenged! 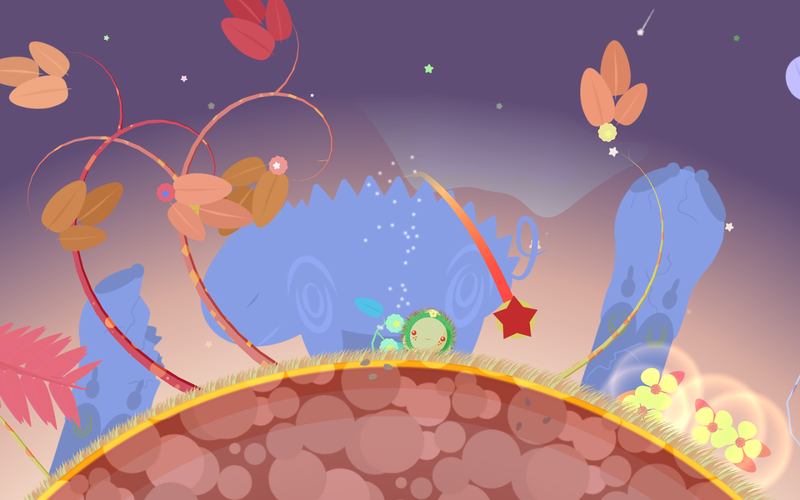 Little Phoenix Interactive is another publisher to take note of their ethically priced kid-friendly games. 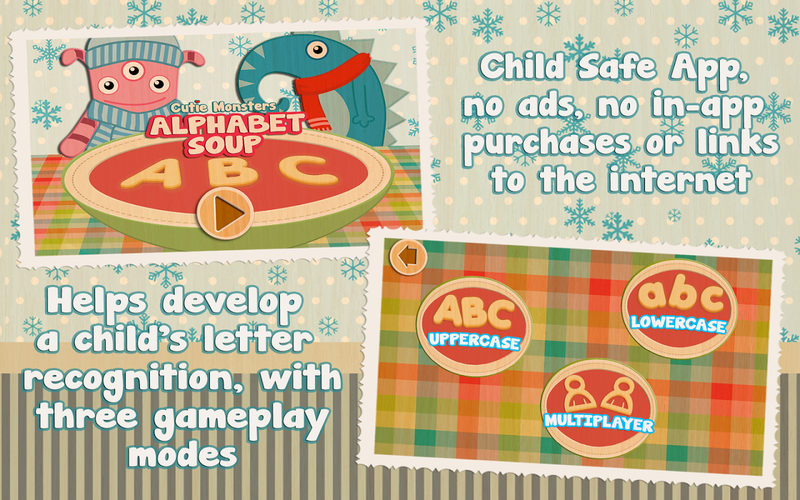 Their 2015 release of Alphabet Soup - Cutie Monsters is a great title in particular for the inventive way it teaches your kids the alphabet. 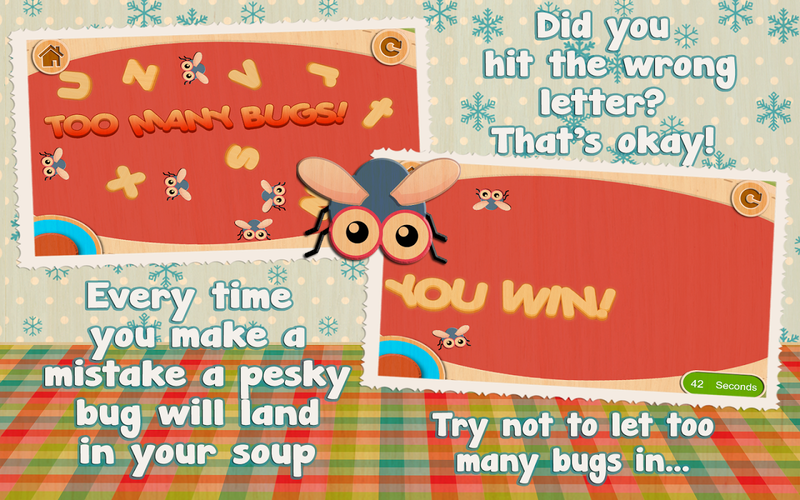 The way it works is you have a bowl of alphabet soup where it is the player's job to tap on each letter in the bowl, all in alphabetical order and as quickly as possible. Designed for use at home or early grade school classrooms, the game makes learning the alphabet fun and easy with upper and lower case letters included. Children can compete as they try to beat their previous fastest completion time or go head to head with a friend in multiplayer mode. 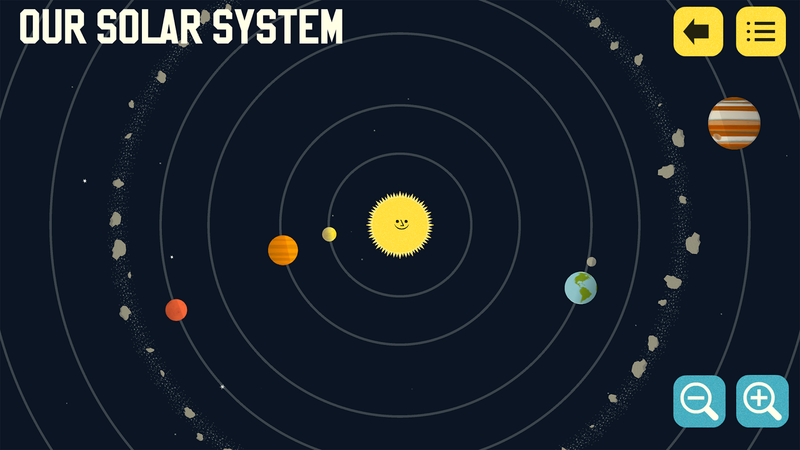 Solar System with Astro Cat is a cute little educational game that teaches children about the wonders of the Universe. Professor Astro Cat and his trusty friend, Astro Mouse are your guides to the universe where you explore planets, moons, suns, spacecraft, and everything in between. 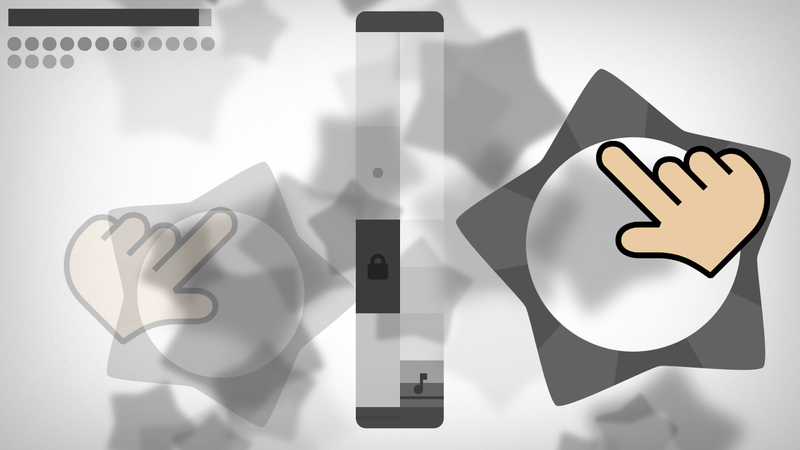 There is even a fun little minigame where you play through challenges in a jetpack, which makes for a nice break in between the more educational content. Blast off into space and learn about the wonders of the Universe with Professor Astro Cat and his trusty friend, Astro Mouse. 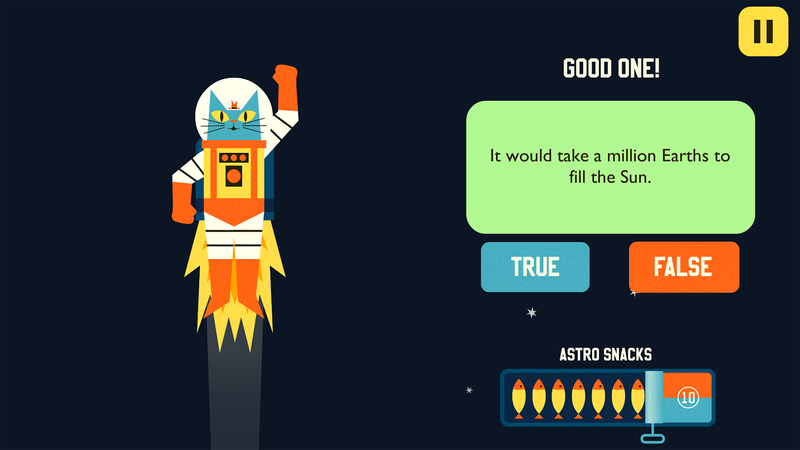 Download now to join the Astro Cat Space Programme and embark on this fact-filled intergalactic learning adventure. 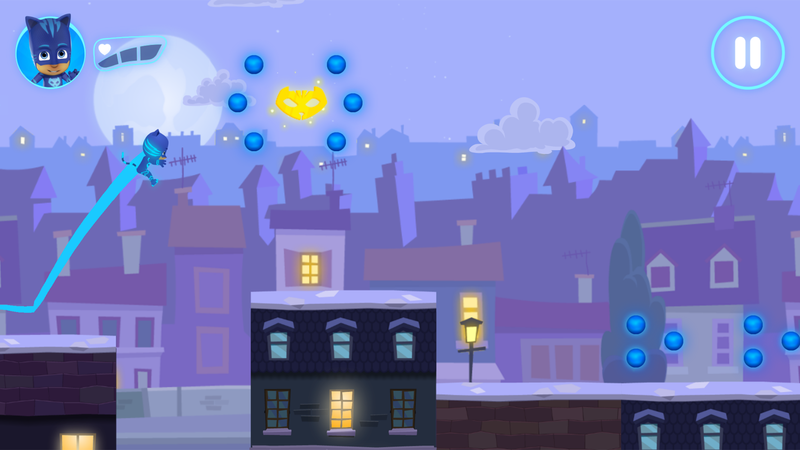 Rocket into the solar system and out to the milky way with Professor Astro Cat to find out all there is to know about solar eclipses, the Sun, Moon and all the planets. 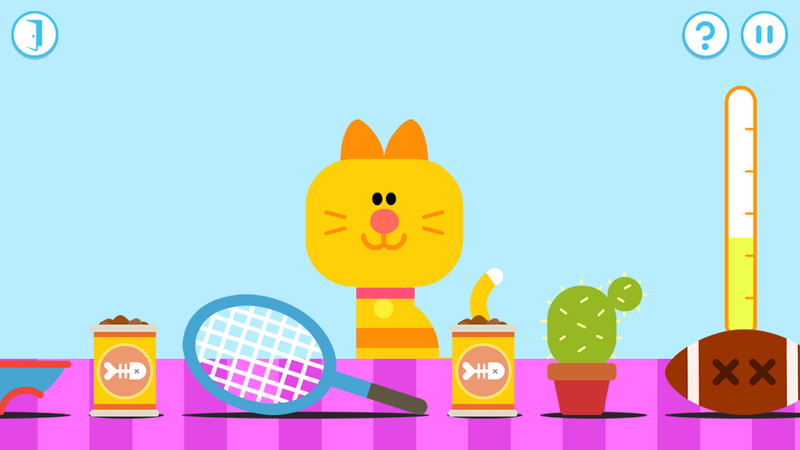 BBC Worldwide has been quietly releasing Hey Duggee branded games on the Play Store for quite some time. 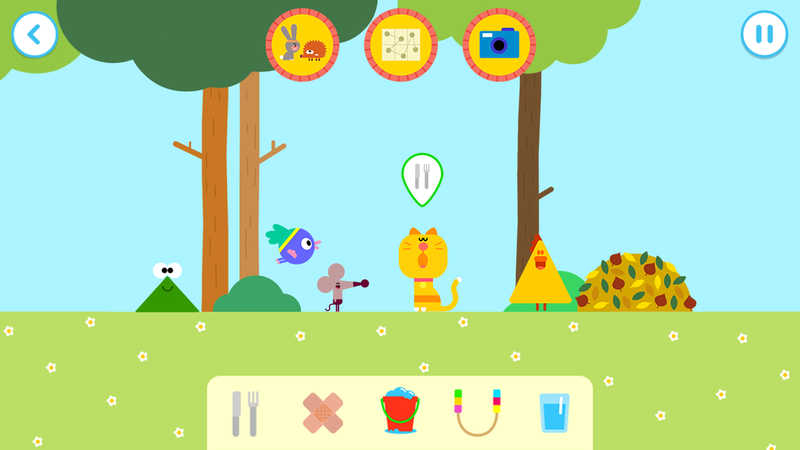 While I can't speak for the rest of their apps, these Hey Duggee games are all pretty solid. 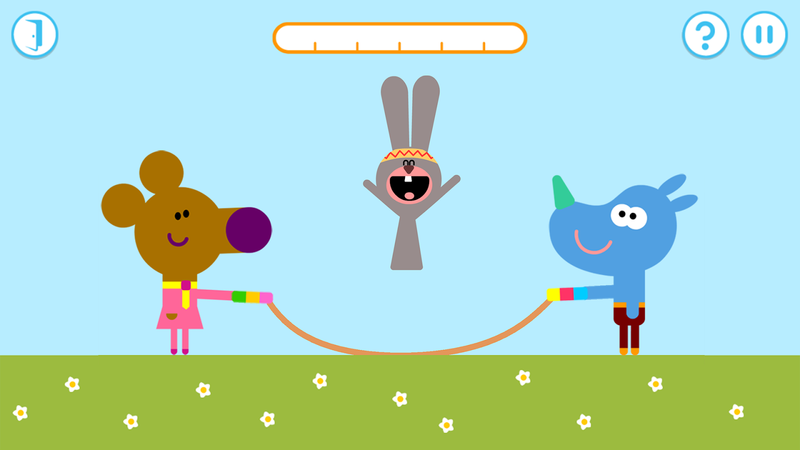 Though if I had to choose one, I would go with Hey Duggee: We Love Animals. 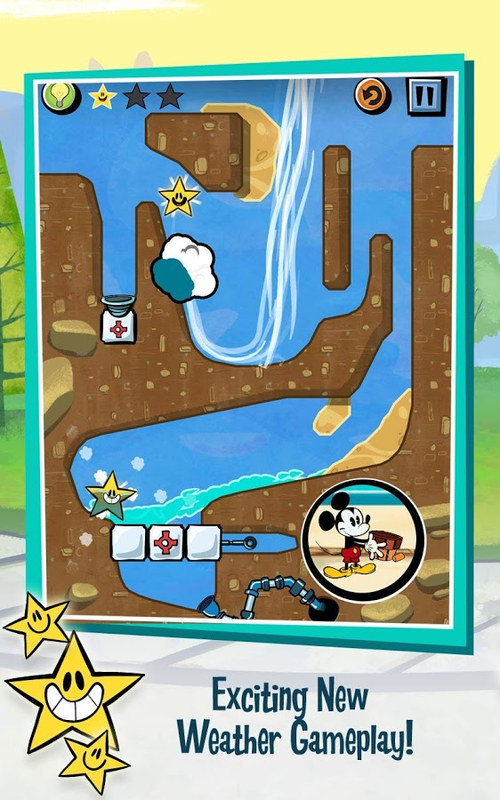 It is an infectious little game where you are tasked with caring for an assortment of cute cartoon animals. 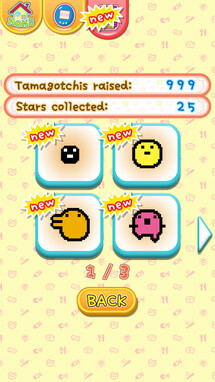 Much like the Tamagotchi game listed above, you will need to feed, exercise, give water, and even sometimes bandage your pets in order to keep them as happy as possible. Duggee's back and this time he's awarding the We Love Animals Badge. 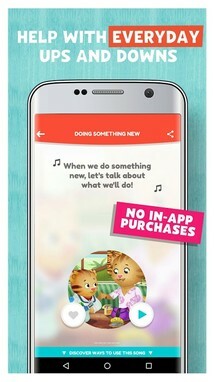 Safe ad-free fun for your little ones. The Squirrels have been learning how to look after animals... and now it's your turn to have a go. 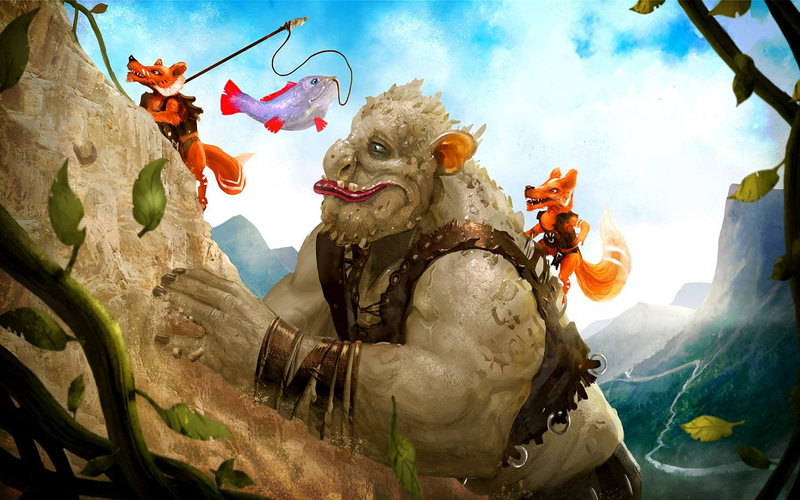 There are eight crazy creatures to care for in four lovely locations. 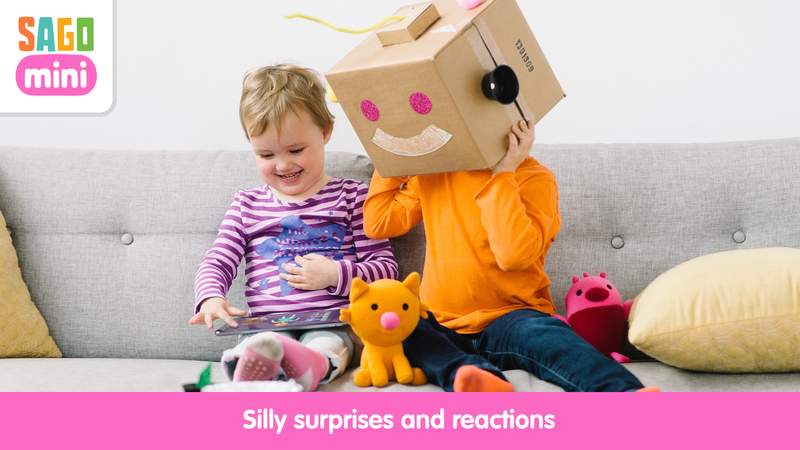 Have fun helping them to interact with their surroundings – kites, sandcastles, balloons, windmills, a paddling pool, sprouting veg, bouncing pumpkins and lots more. 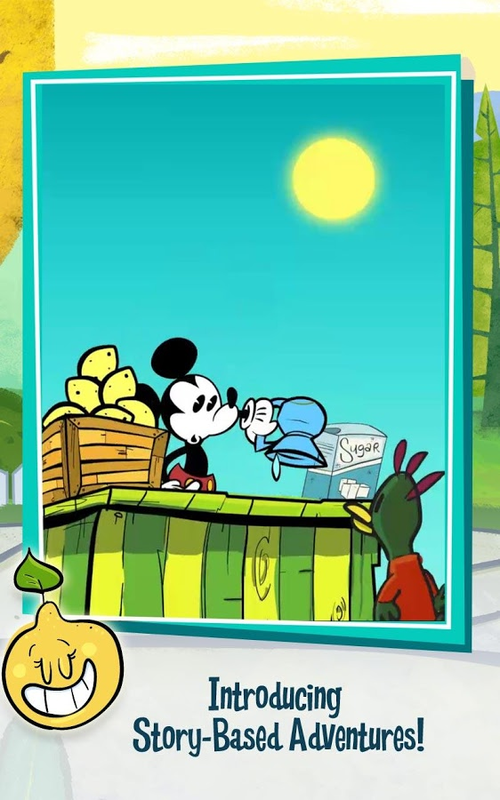 Appisodes: Enchanted Science is one of many immersive interactive TV episodes that Disney has labeled with the moniker "Appisodes." 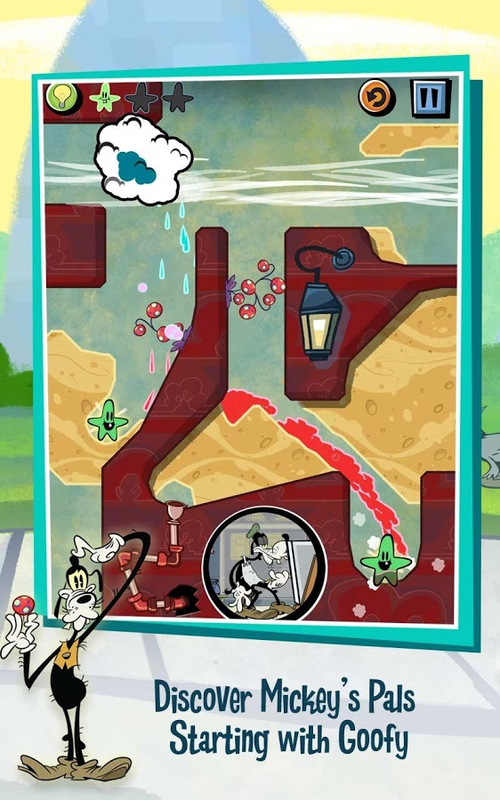 There is a whole bunch of these games on the Play Store, but today I wanted to cover Appisodes: Enchanted Science in particular. 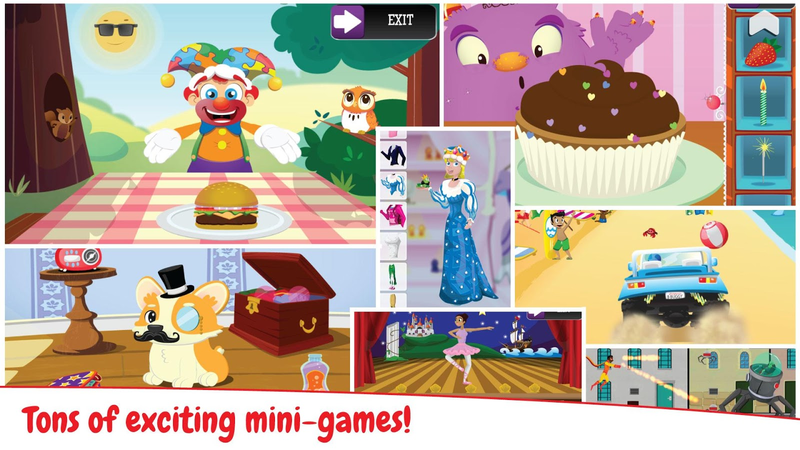 Not only does it feature many of the characters from the Disney Junior animated series Sofia the First, but the story, mini games, and overall high quality of the title show that Disney still has the chops to create worthwhile content for children. 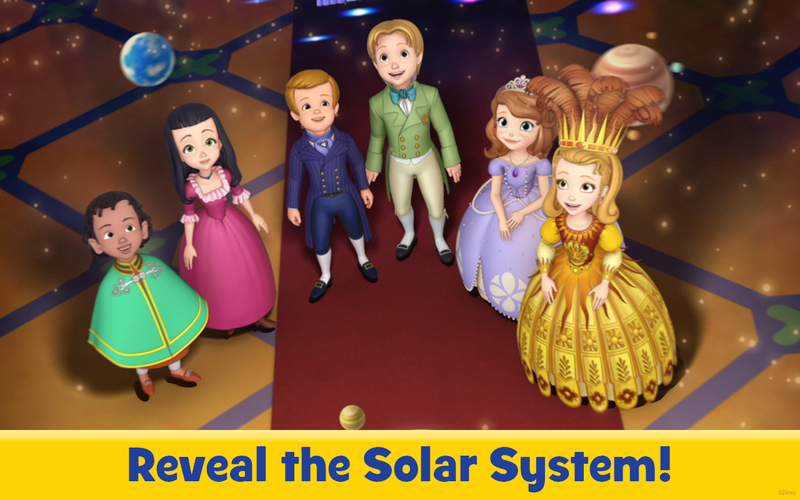 The Sofia The First Disney Junior Appisode featuring "Enchanted Science Fair" is filled with video, games, and music as preschoolers play along with their favorite Disney Junior show. 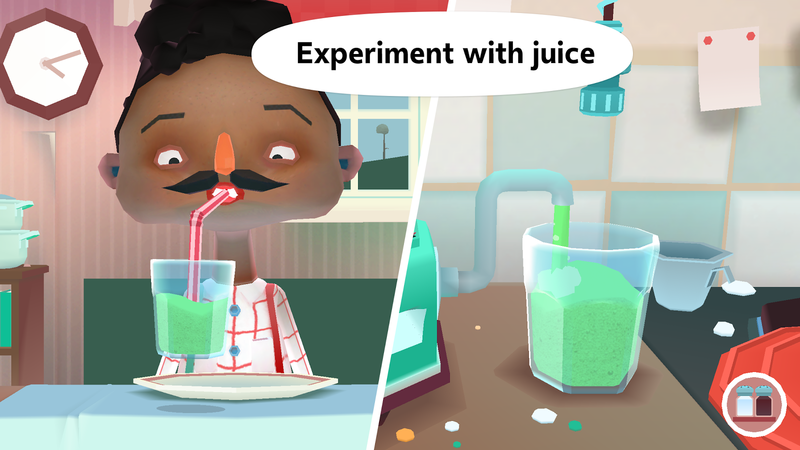 They will touch, tap, swipe, tilt, shake and talk their way through a fully immersive interactive TV episode that reinforces developmental values. Just about everybody is going to be familiar with Sesame Street. 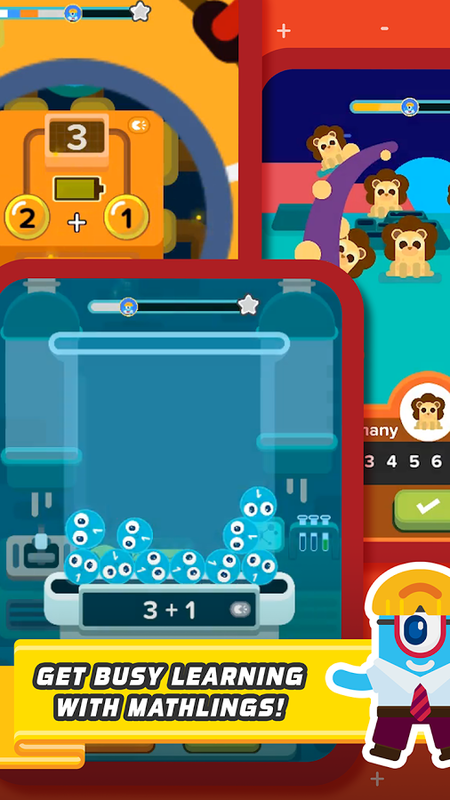 After years of quality educational content on TV, Sesame Workshop has finally expanded to the digital world with a handful of games for Android. 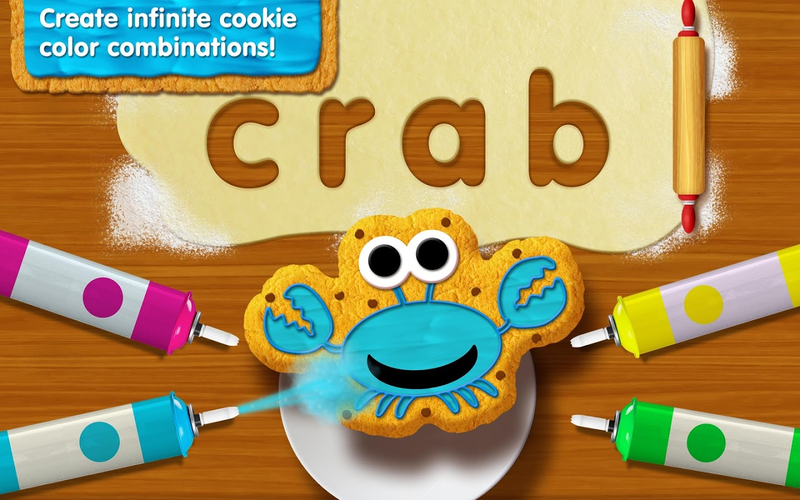 One of their standout titles is Sesame Street Alphabet Kitchen, a vocabulary-building app that will help your child practice their early literacy skills. 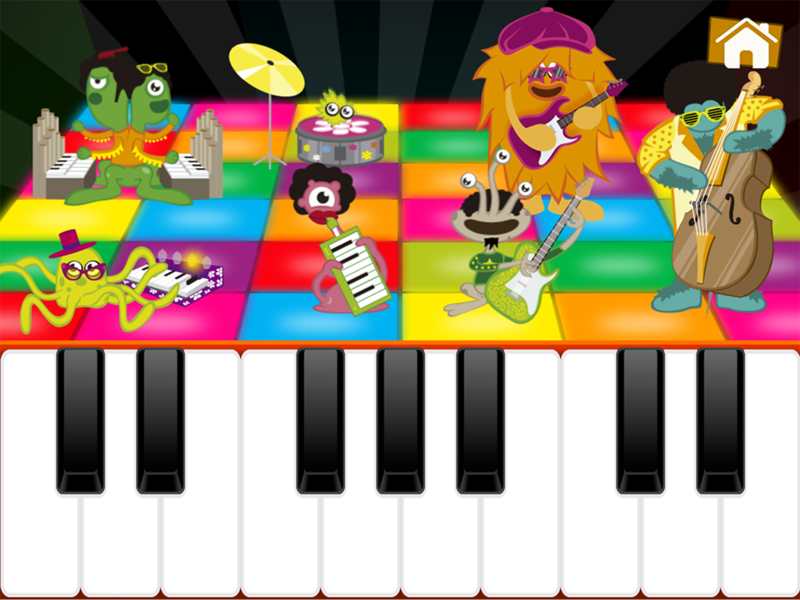 This is done by blending letter sounds to create words, all within an enjoyable Sesame Street environment. 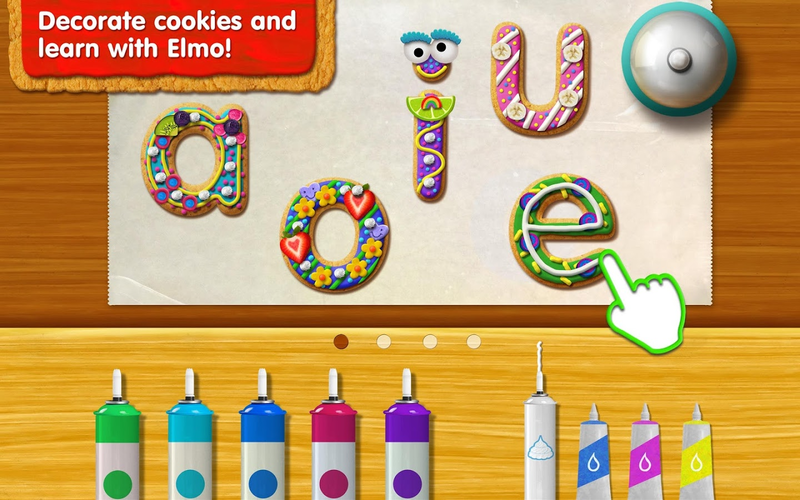 Sesame Street Alphabet Kitchen turns learning vowels and new vocabulary words into a fun-filled cookie making experience. 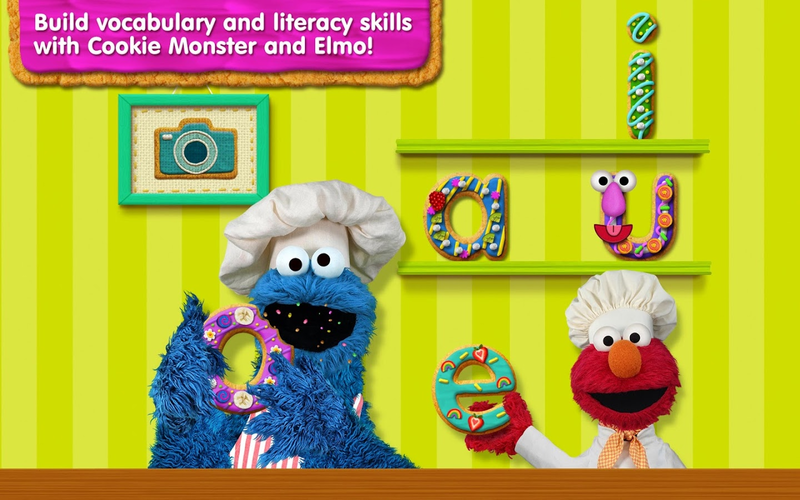 By creating letter cookies and decorating them in his kitchen, Chef Elmo helps kids learn about vowels. 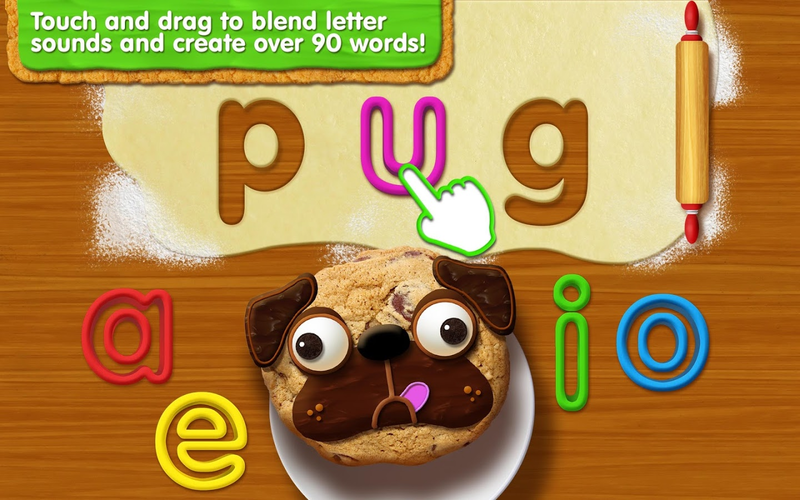 Through blending letter combinations to create words, the Sesame Street friends help your child ‘bake’ 3- and 4-letter words into delicious cookies. If you are looking for a game that is going to keep your kid rolling on the floor laughing, then you will want to check out Steppy Pants. 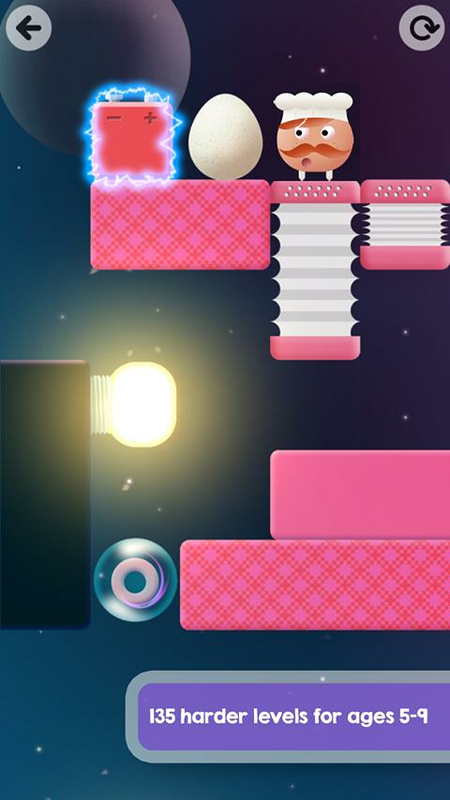 It is a game of coordination where each tap on the screen moves one leg of your character. Think QWOP, but way way simpler. Now add in the fact that the game is played in an assortment of ridiculous situations, such as avoiding cracks on a sidewalk or jumping from one piece of furniture to another while avoiding the lava on the living room floor and you have a game that captures all of our collective childhood imaginations into a humorous walking simulator. 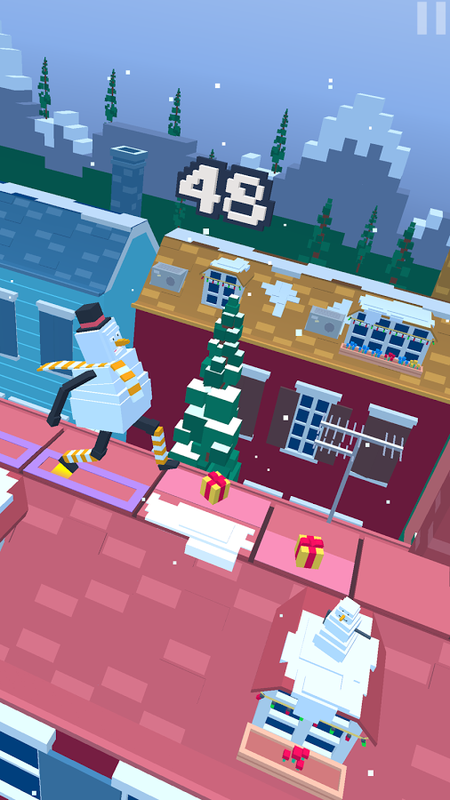 Steppy Pants, the most realistic walking simulator you'll play this year. Keep your cool when faced with insurmountable odds, like reckless drivers and an inexplicable inability to step on sidewalk cracks. You'll laugh. You'll cry. 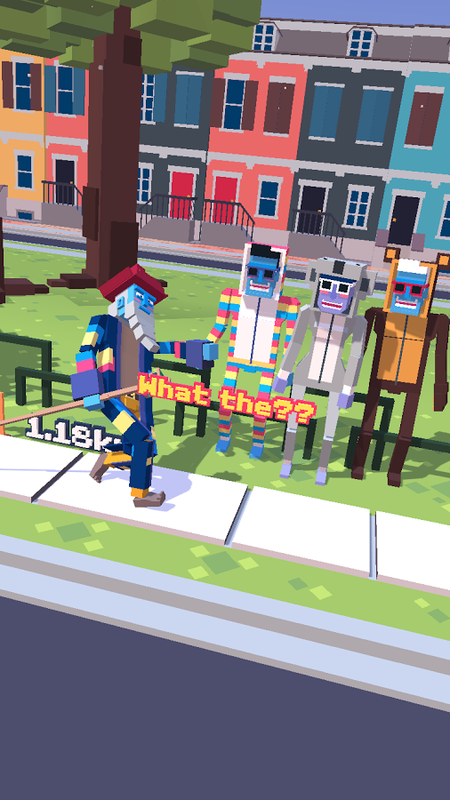 You'll remember just how much fun you can have walking down the street.​ We've been playing this game non-stop for months and it still makes us chortle. 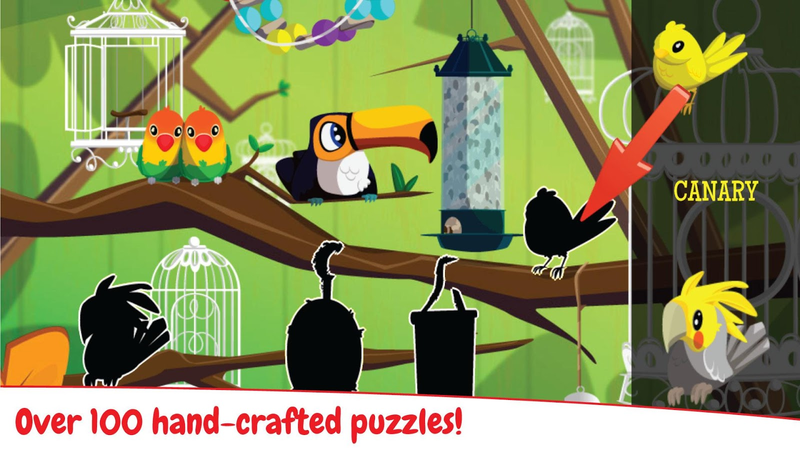 Toddler Kids Puzzles PUZZINGO is an educational puzzle game from 77SPARX Studio, Inc. 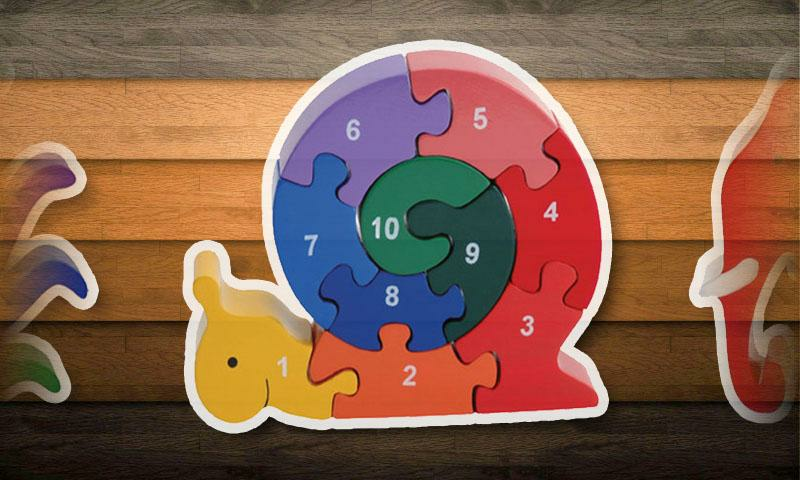 The assortment of puzzles included in this title are intended to help toddlers and kids develop spatial recognition, matching, tactile, fine-motor skills, and build vocabulary. 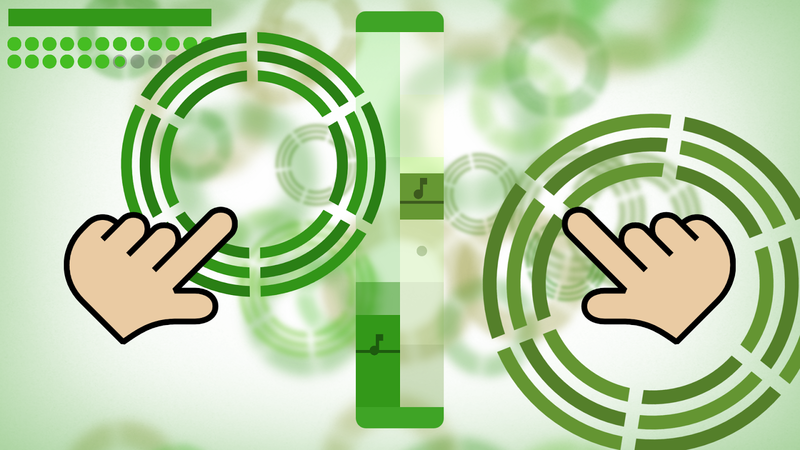 While I know the in-app purchases may appear to be high, rest assured they are for unlocking content and not nickel and diming your wallet. So make sure to check out the rest of this studio's catalog, as each one of their games is fantastic. 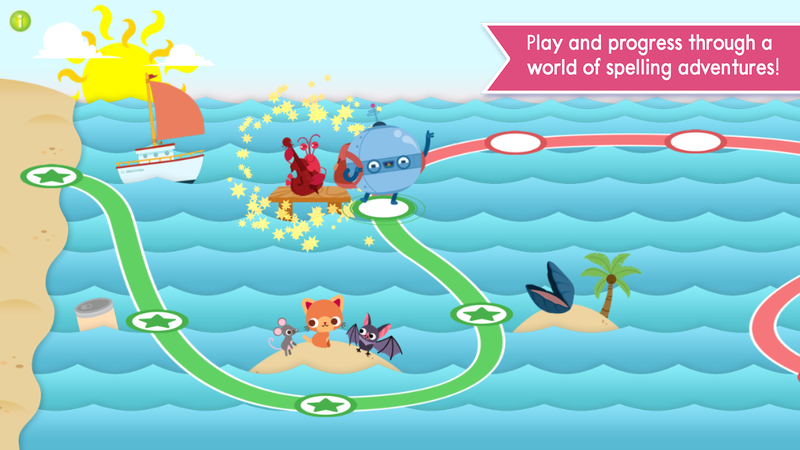 Looking for a game that is fun AND educational for your kids and toddlers? Puzzingo Puzzles is that and more. Download today. 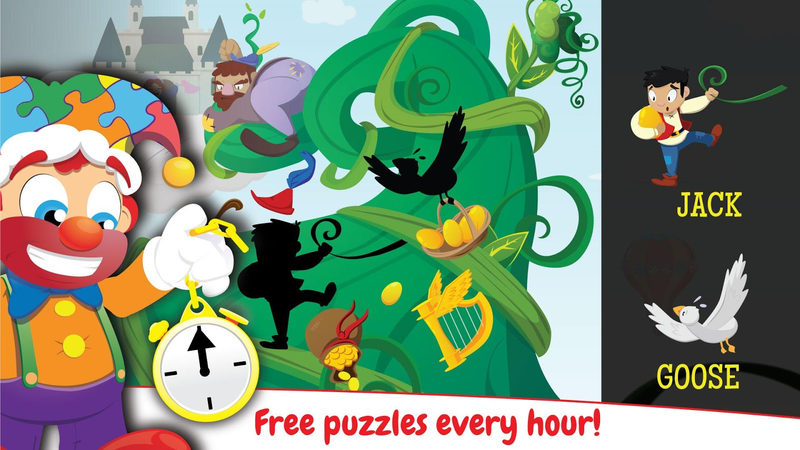 Kids and toddlers love Puzzingo puzzles and games. 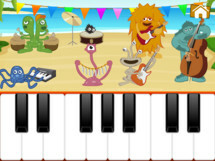 They are full of interactivity, animations, and fun for learning and repeat plays. 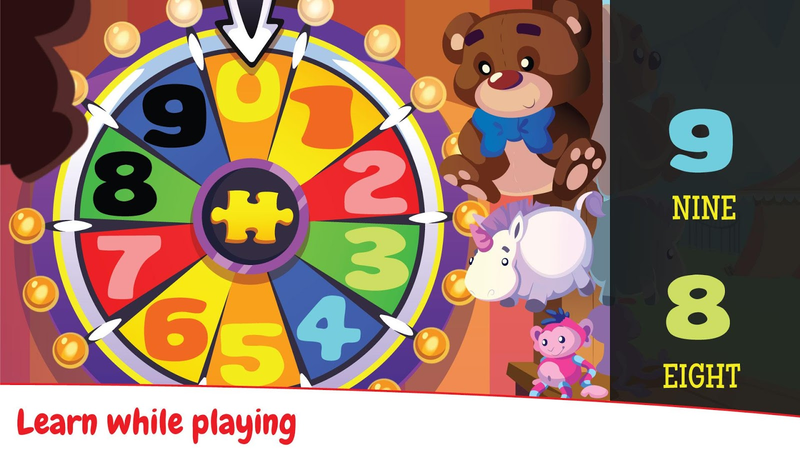 Unlike jigsaw puzzles, every Puzzingo puzzle piece is named, so preschool children will build vocabulary while playing. I have saved the best for last. 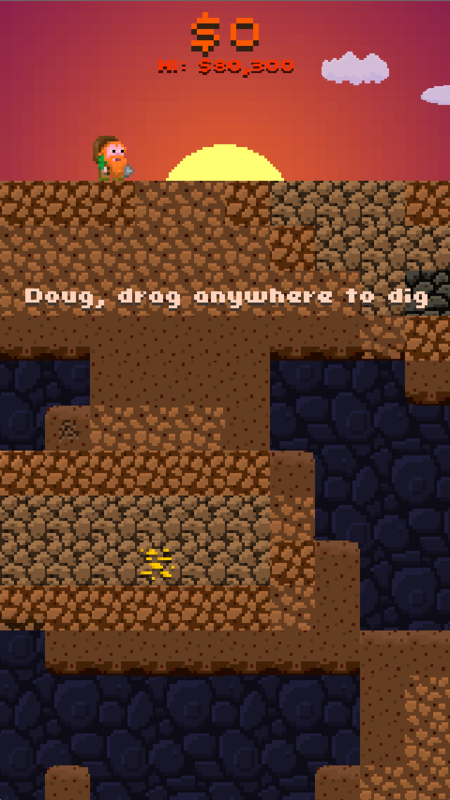 Not only are all of Originator Inc.'s educational games fantastic, but Endless Wordplay is hands down its standout title. Sure, the in-app purchases may appear expensive, but trust me on this when I say that each and every one of them is worth the asking price. 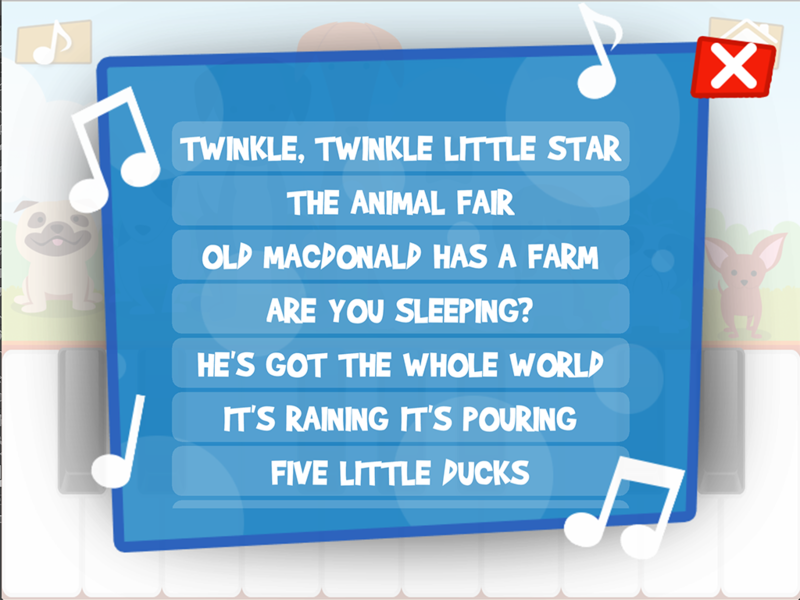 There is no other publisher on the Play Store creating educational games of this quality, and in this instance, Endless Wordplay sets the stage for you child through spelling, word building, and rhymes like no other. 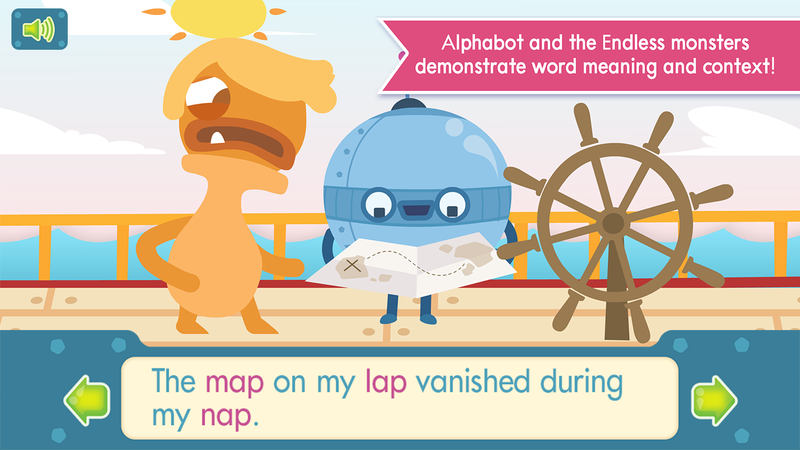 As the next delightful app in the Endless series, Endless Wordplay sets the stage for spelling, word building, and wonderful rhymes. 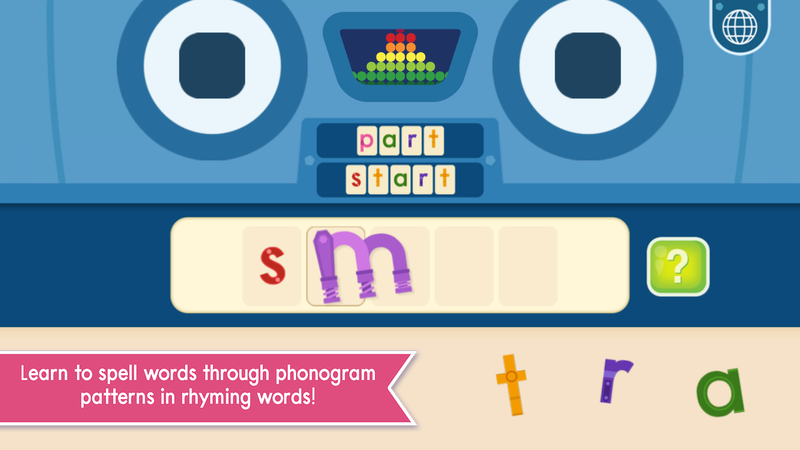 This app introduces key spelling patterns and phonograms that are important for beginning spellers and early writers. Written English can be complex and confusing, and Endless Wordplay reinforces spelling rules and variations using rhymes and a fun, progressive learning path. And that is it, folks. I hope this list of 30 games was helpful in your search for kid-friendly titles. Keep an eye out for more listicles of this nature from me in the future. Oh, and if you have any recommendations for the next list, please feel free to sound off in the comments below.